Read with me - My Laptop Guide. Yes, you read it right. As the name suggests, My Laptop Guide is one stop solution for all the latest and trending laptop information. 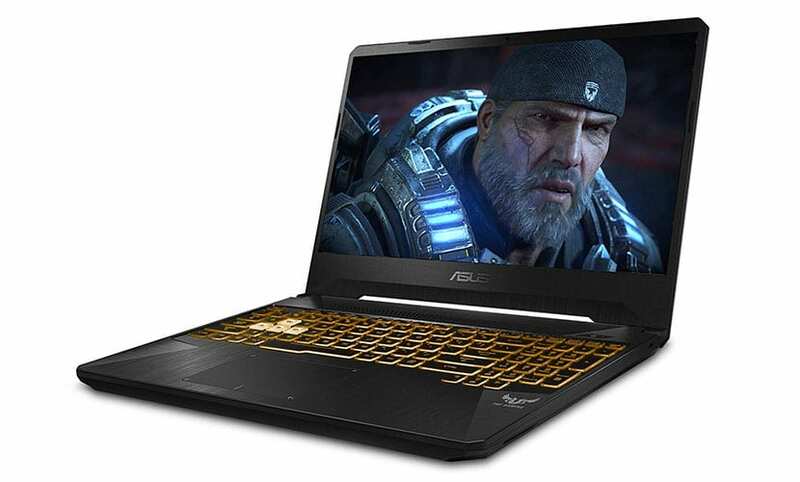 Find here the latest laptop news, deals, reviews, comparisons and the most important - compilation of best laptops for different purposes (gaming, business, everyday, etc...), budget, type (2-in-1, traditional, etc...) and more. Hence, Finding Laptop is now simplified with My Laptop Guide. When you venture out to purchase a laptop for personal or professional use, you prep yourself to live with a light wallet for months to come. Even after years of advancing technology, laptops don’t exactly come cheap. Or do they? Well, here is some excellent news for anyone looking to bring home an inexpensive laptop that won’t break down under pressure: many top computer makers have introduced cheap laptops priced under—hold your breath—$200! You may have previously come across laptops priced under $300, and assumed that was the cheapest deal anyone could give you in this market. However, today, you can find cheap laptops produced by reliable and established brands such as Acer, ASUS, Dell, HP, Lenovo and Samsung. Other brands like CHUWI have also emerged to compete with these market leaders, offering products with features that seem impossible to attain in so low a price point. Suffice it to say that if it is a cheap laptop that you covet, you will be spoilt for choice. One word of caution: laptops under $200 do come with some inherent limitations. They have limited processing muscle that will be adequate for day-to-day needs, but you cannot expect them to facilitate intensive endeavors like graphics designing, programming, animation or gaming. Many of these laptops lean toward the tablet model, restricting the brilliance of the display that you can expect. So, while laptops in this league have several merits to boot—not the least of which is excellent portability—they may not be everyone’s cup of tea. Let us find out a few essential things about cheap laptops under $200 and how to go about acquiring one, if at all. We have also consolidated ten recommendations that are both trustworthy and wise buying choices for various requirements ranging from home use to traveling. Is a Sub-$200 Laptop a Good Fit to Your Lifestyle? Professionals: Unless you are a creative professional, a techie, or someone who must run complicated software regularly, these basic laptops are good enough for regular needs like checking e-mail, browsing the internet, and taking voice or video calls. Travelers: Since these laptops focus the most on portability and ease of use, they will be perfect travel companions. You can carry them on vacations, using them to stay connected, entertained, and backed up. Budget-watchers: This category undoubtedly covers a lot of people, making cheap laptops good options for first computing devices, gifting, home-based use, etc. You don’t have to pay a bomb, but your basic functions are sorted. After all, not everyone wants to use their computer as a one-stop device to replace cameras, hard disks, projection screens, and the kitchen sink. Processor and OS: Look for a speedy processor (e.g., Intel dual-core or quad-core) and a smart operating system like Chrome OS or Windows 10. This will facilitate daily computing tasks like opening documents and presentations or navigating through multiple browser tabs. RAM and Storage: As far as possible, don’t settle for anything under 4GB RAM and 32GB of storage. You need this kind of memory to keep the booting and loading times manageable. Of course, storage can usually be supplemented by external drives and the cloud. Display: Most laptops in this price point offer HD screens. Some also provide anti-glare panels and features such as night mode or color adjustment. If your computer has inbuilt USB ports and HDMI (as it should), you will be able to connect to external displays and expand your viewing horizons. Battery Life: Scout for laptops that offer at least 6–8 hours of unplugged juice. Since you will be carrying these laptops around, you need not be shackled to power stations all the time. Build and Portability: This will depend on the form factor you choose, with 11” laptops being among the lightest. Ask for notebooks that are sturdy yet lightweight. Just because you are purchasing an inexpensive laptop does not mean you must settle for unwieldy, drab machines. Stands out for: Lightweight and lean build that is among the best on this list. 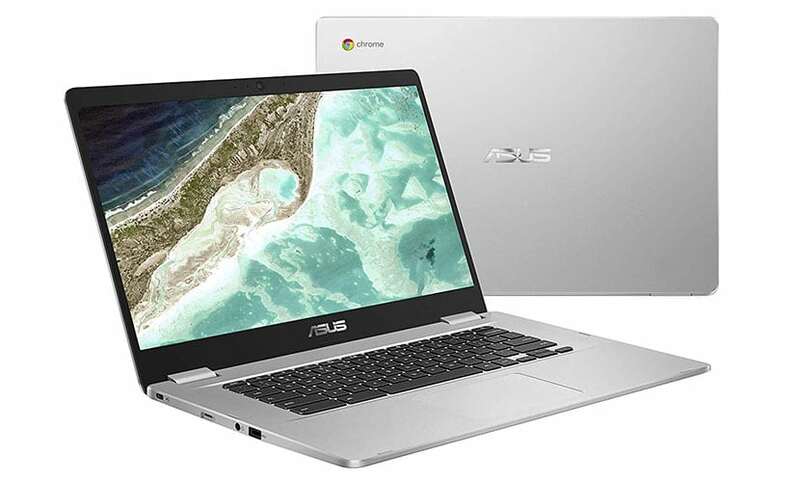 The 11.6” ASUS C223NA-DH02-RD Chromebook weighs only 2.2lbs and has a profile measuring 0.7”. Its footprint is smaller than that of an A4 sheet, which means carrying it along with you to school or the office is a breeze. Like all Chromebooks, this one is also super responsive, courtesy its Chrome OS. The operating system provides access to a world of useful apps on Google Play Store, besides being swift and offering anti-virus protection and automatic updates. This laptop is driven by an Intel Celeron N3350 processor (up to 2.4GHz, dual-core), 4GB RAM, and 32GB storage (with 100GB of space on Google Drive). It proves to be adept at completing day-to-day activities like watching videos, browsing the internet, or loading documents and decks. The battery life lasts for as long as 10 hours, which is a good metric to see you through the majority of your day. On the display front, this laptop offers an HD screen with a resolution of 1366 x 768. An anti-glare panel helps to protect your eyes after long hours of work. The display is complemented well by the premium metallic finish of the exterior and the bold red color. Let’s just say it looks stylish and sleek—quite a prerequisite in this day and age! This device has an interesting assortment of ports to keep you connected with your peers at work or school. You can avail of two USB 3.1 Type-C ports, one USB 3.0 port, a display port, an HD webcam, and a microSD card reader. It also supports 802.11ac Wi-Fi and Bluetooth 4.0. 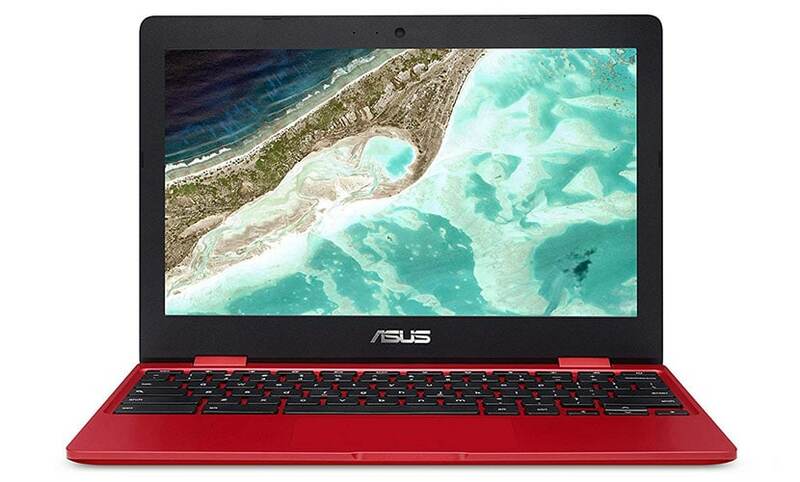 Bonus: ASUS has infused this Chromebook with fascinating surround-sound effects. The result is sharper and distortion-free sound even when you are on the go. This is quite a triumph for a laptop that costs less than $200. Stands out for: Its 14.1” display with anti-glare, night mode and color adjustment. The CHUWI Herobook 14-inch laptop is designed to fuel everyday life while also, quite thoughtfully, reducing eye strain. Plus, it is a Windows 10 laptop, which brings you powerful performance and features to enhance your productivity. You will find it easier to multitask because standard computing operations will feel smoother and more efficient. If you are scouting for a budget laptop with a large screen, this 14-inch machine is a good find. It is fuelled by an Intel Atom X5-E8000 processor (quad-core), 4GB RAM, 64GB of storage space, and 9-hour battery life. The memory is higher than many budget contemporaries that offer only up to 32GB. With this configuration, you can comfortably perform routine operations like accessing the internet, flipping through photos and videos, etc. The external memory can be boosted up to 128GB which makes it easier to store your data. The display, as we discussed previously, is pleasant. The screen resolution of 1366 x 768 gives you a wide-screen experience. Even when you view the monitor under outdoor lighting, the imagery is satisfying. Note that this device supports Intel HD Graphics (integrated). What about the device support and connectivity? The Herobook offers an impressive array of ports: one USB 3.0 port, one USB 2.0 port, a mini HDMI, a front camera (0.3MP), and a microSD card slot. The HDMI port enables you to connect to an external display, say, for presentations in the conference room at work. The device is also compatible with Bluetooth 4.0 and 802.11a/b/g/n/ac Wi-Fi. 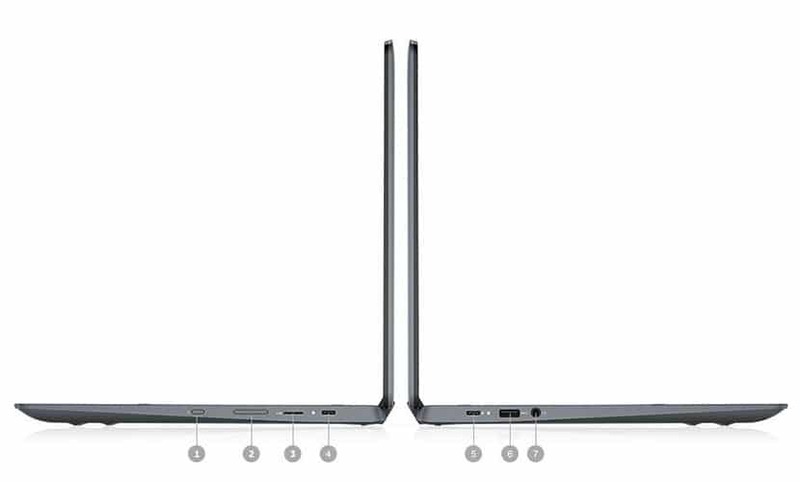 Moreover, for a 14-inch laptop, it remains quite light and slim at 4.6lbs and 0.84”. This helps keep it mobile enough to lug along without feeling uncomfortable. Stands out for: Its super-productive and secure operating system—Windows 10 in S Mode—and convenient inclusion of Office 365 Personal. The HP Stream 11-ah010nr 11-inch laptop lets you benefit from the efficiency of an OS that is brilliant for anyone who prioritizes data security. You also get complete access to applications like Microsoft Excel, Word, PowerPoint, etc., which makes it simple to perform regular tasks for work or school. 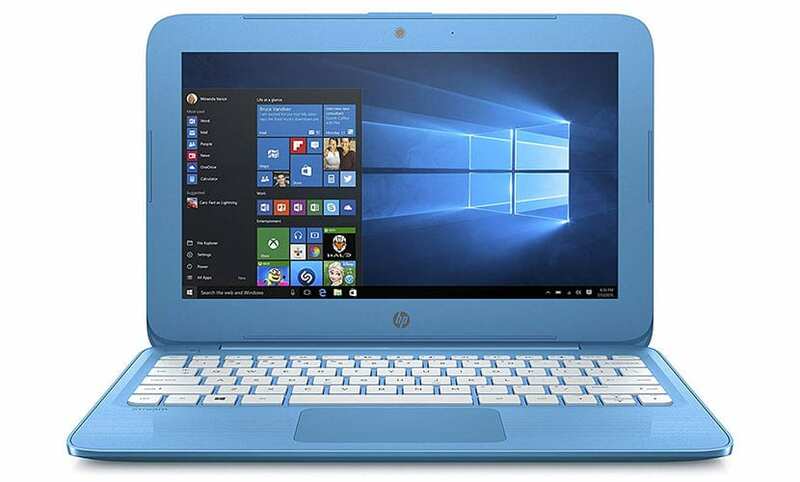 This HP laptop is powered by an Intel Celeron processor, 4GB RAM and 32GB of storage. While this is nothing to write home about, it sure is sufficient for standard computing tasks. Plus, the laptop also comes with 1TB of OneDrive storage (available for one year). This offers you plentiful space to store your files. The battery can last up to 12.5 hours, depending on your usage. This is phenomenal, making this computer THE pick of the lot if unplugged usage is your top consideration. Display-wise, you get an HD SVA monitor with a screen resolution of 1366 x 768. An anti-glare panel takes care of your eyes as you trudge along your day. The graphics support is for Intel UHD Graphics 600. HP has built this laptop with an evident focus on mobility. The chassis is lightweight and lean at 2.57lbs and 0.71”, making it straightforward to slip this laptop into backpacks. A wide choice of colors—including a lovely purple—brings you enviable style. To keep your life sorted on the run, you can access the USB ports—one USB 2.0 and one USB 3.1. There is also an HDMI to allow you to plug into external displays and an HP webcam with an integrated digital microphone for voice clarity during calls. 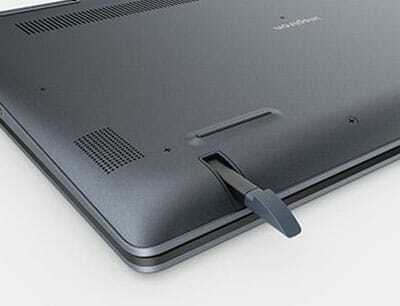 Further upping the connectivity on this laptop is the enhanced Wi-Fi antenna (802.11 ac 2×2) that provides greater reliability and consistency while browsing. This is a useful feature considering the modern need to stay connected perpetually! Note that this laptop is also compatible with Bluetooth 4.2. Stands out for: CinemaStream and CinemaSound—amazing features to enjoy brilliant A/V experiences on a budget computer. 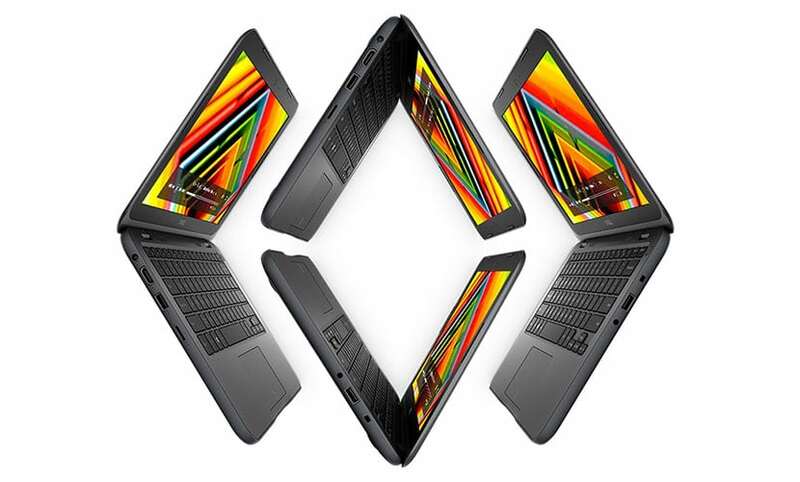 The Dell Inspiron 11 3000 3180 laptop is equipped with the brilliance of Waves MaxxAudio Pro for studio-quality sound. This is further enhanced by CinemaStream that ensures your videos get the maximum bandwidth. The result is a stutter-free, disturbance-free multimedia experience that is a rarity in cheap laptops. Interestingly, this is an AMD laptop with an AMD A6-9220e processor (seventh-generation). It has the standard processing configuration for cheap 11-inch laptops: 4GB RAM and 32GB of storage. AMD laptops have now started rivaling the established Intel brand with their focus on upping performance while keeping the costs low. An AMD CPU can be a good choice for an everyday computer, letting you save a few bucks without compromising on performance. How is the display? Well, you get an HD screen with a resolution of 1366 x 768. Additionally, it features an IPS panel (In-Plane Switching) that lets you view the screen from various positions without experiencing image distortion. This laptop supports Radeon R4 graphics. Bonus: Dell provides several color options for this product, letting you choose among blue, white and grey. The colors are eye-catching. A special word on the portability: very impressive! This laptop weighs all of 2.54lbs and has a profile measuring 0.82”. Plus, knowing Dell, you can rest assured that this device has been extensively tested for use in adverse conditions. Sample some of the tests this resilient little gadget has been through: extreme temperatures of 65°C or 149°F, open-and-closes of the lid about 20,000 times, and 10 million keystrokes! Note that you can avail of reliable connectivity options with this device, including support for 802.11BGN Wi-Fi and Bluetooth 4.0. Further, there is a USB 3.1 port for data transfer, an HDMI port, and a microSD card reader. Stands out for: Its brilliant and flexible 180-degree hinge design. The ASUS Vivobook E203MA laptop has an innovative hinge designed to boost its flexibility of use, and the results are palpable. You can lay the screen out flat, making it uber-convenient for your colleagues or pals to see what you want to show them (read presentations, videos, pictures, the works). Also, since ASUS has extensively tested the hinge and exposed it to no less than 20,000 open-and-close cycles (! ), there is little risk of malfunctioning. 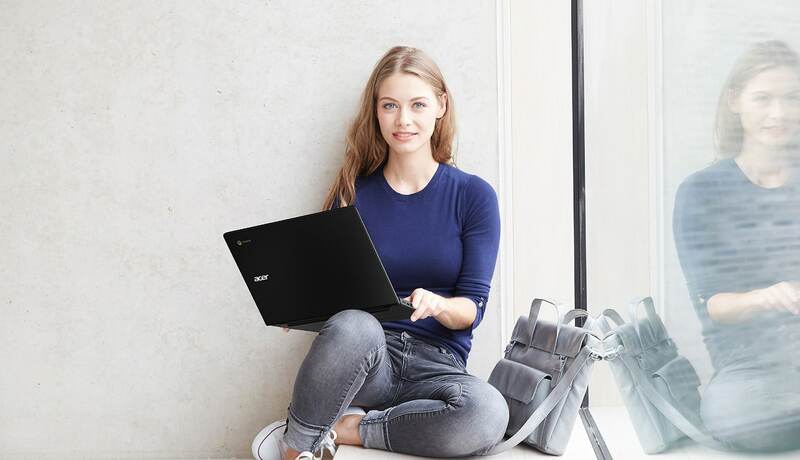 Much like the quintessential Chromebooks, the Vivobooks have also cemented their reputation as compact, user-friendly devices that travel exceptionally well. This one, for instance, is astonishingly light at 2.18lbs—easily among the slimmest on our list—and measures only 0.7”. This, combined with its long battery life of ten hours, makes it a useful gadget to carry with you. Processing-wise, this computer does a satisfactory job. It is fueled by an Intel Celeron N4000 processor (dual-core) and 32GB of storage. On the flipside, the RAM support is lower than most others we have picked—2GB. This can become a limitation for overall speed and multitasking. With this Vivobook, you get a vivid HD display with a screen resolution of 1366 x 768. But the star here is the keen use of technology to deliver a sharper, more immersive image. For instance, the Tru2Life technology boosts the sharpness and contrast of each pixel by 150%, leading to compelling realism in every frame. It is assisted by the ASUS Splendid technology that works on accurate color rendition. There is no dearth of options for device support; this Vivobook comes equipped with a USB-C port, a USB 3.0 port, and an HDMI. It supports 802.11AC Wi-Fi for internet connectivity. Stands out for: Long battery life lasting up to 11 hours. The Samsung Chromebook 3 XE501C13-K02US is an 11.6” laptop that provides exceedingly good portability with its superior unplugged usage. The best part is that the battery continues to retain (most of) its capacity in the long run; Samsung claims this period can be as long as three years! Further, this computer also has a nimble chassis weighing 2.54lbs and a thickness of 0.7”—specs that spell good news for mobility. It is highly convenient for daily usage on the run. This laptop is Samsung’s offering in the biosphere of Chromebooks—a frontier that more and more laptop manufacturers are increasingly trying to tap. Fueled by an Intel Celeron N3060 CPU (dual-core), 4GB RAM and 32GB of storage, it is supple enough for regular endeavors. Of course, the Chrome OS plays a major part in making this device responsive and speedy; the OS also delivers virus protection and automatic updates. The display is fairly standard: an HD monitor with a resolution of 1366 x 768 and graphics support for Intel HD Graphics 400. The product is available in a “Night Charcoal” color—while it is attractive, you might be disappointed if you were planning on getting a laptop in vibrant, unusual shades. Samsung has always been renowned for its commitment to seamless, connected computing, both in laptops and mobile devices. Here too, the company is in top form, equipping this laptop with a USB 3.0 port, a USB 2.0 port, an HDMI, and a media card reader. It also supports 802.11ac Wi-Fi and Bluetooth 4.0. We particularly love the water-resistant keyboard. It makes it so much simpler to use this laptop in places like the kitchen or public transport, where coffee spills are hard to avoid. Stands out for: Incredible devotion to education! 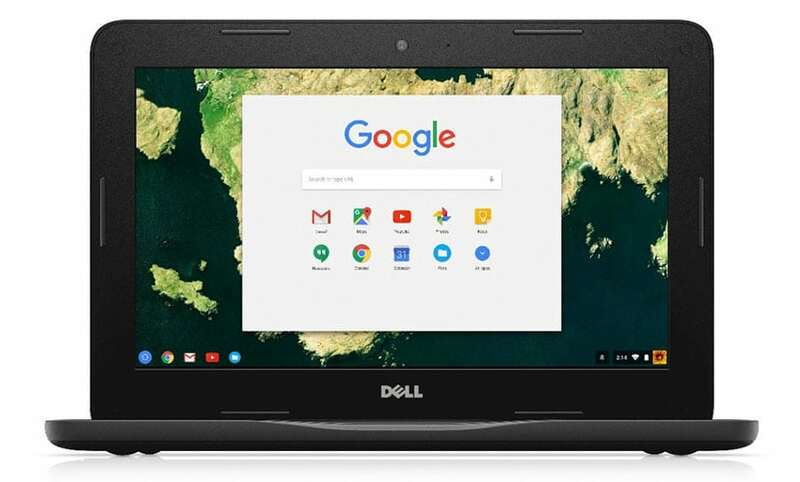 The Dell Chromebook 11 3180​ is tailor-made for students, so, if you are looking for a school laptop, you needn’t look any further. It offers a plethora of features to benefit students on a daily basis, including a spill-resistant keyboard, drop protection, and rubberized edges to withstand the many rigors of a standard day on campus. Perhaps the most standout feature of this laptop is its convenient access to the Chromebook G Suite for Education. At your disposal is an entire world of apps intended to simplify the teaching-learning experience and make it more productive. For instance, “Classroom” streamlines the process of sharing and grading assignments. Did you know: This laptop also comes with the “Dell Activity Light.” This three-color LED helps facilitate communication in the classroom. The CPU muscle of this device draws from a Celeron N3060 processor, 4GB RAM, and 16GB of storage. An HDF screen renders your content with reasonable clarity, while a USD card reader, an HDMI and two USB 3.1 Gen 1 ports help you stay connected. Thankfully, the battery lasts for ten hours which means you won’t need to remain tethered to a charging station; you can get your work done in quiet corners of the cafeteria as well. 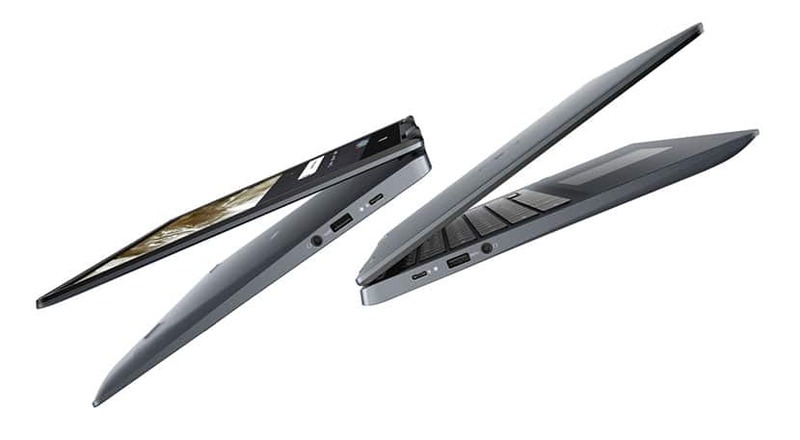 This Dell laptop also offers a hinge-based design, with the 180-degree hinge permitting you to lay the screen out flat. Not only can you conveniently share content with classmates in the classroom, but also let them fiddle about if needed, thanks to the scratch resistance offered by Corning Gorilla Glass. A word on the overall portability of this laptop: it weighs 2.65lbs and measures 2.9”. So, yes, the profile isn’t as slim as some of the sleeker and more stylish devices on this list. But you can conveniently carry it with you without feeling burdened by the weight. Stands out for: Its free provision of Open/Edit MS Office (using Quick Office Editor or Google Docs). 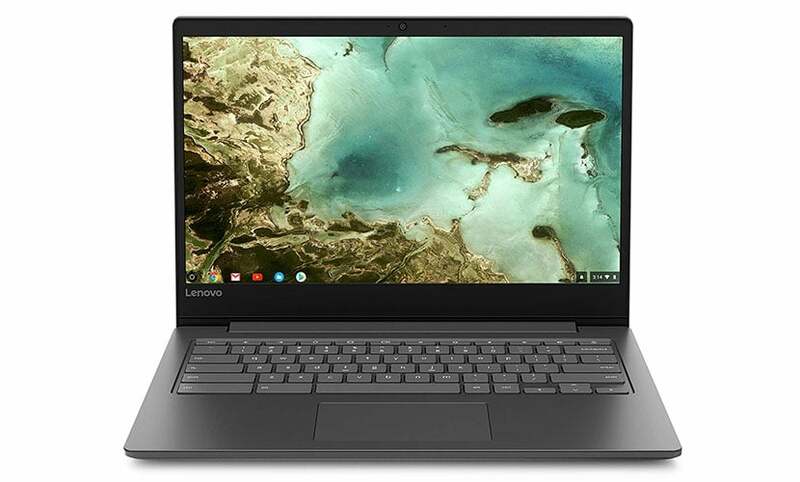 The 14” Lenovo Chromebook S330 laptop is one of the most recent Chromebooks of its kind. While it runs Chrome OS (incompatible with Windows OS), the handy offering of Open/Edit MS Office makes it easy to complete your personal or professional pursuits. 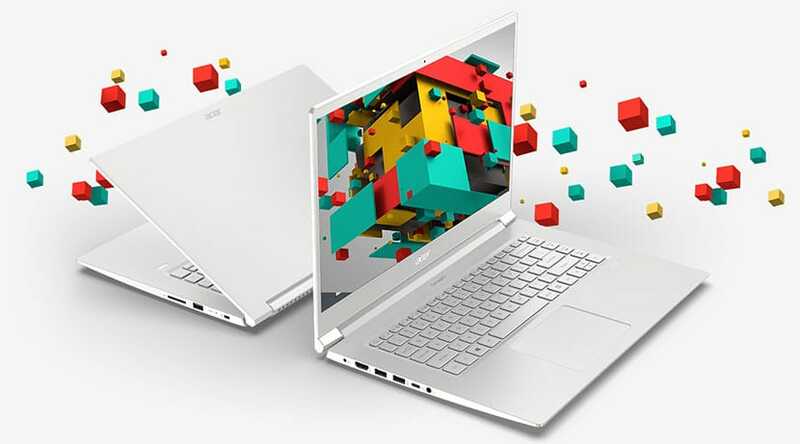 This laptop also stands out because of its MediaTek MTK8173C processor (up to 2.1 GHz), supported by 4GB RAM, 32GB memory, ten-hour battery backup, and MediaTek graphics (integrated). If you need additional space, you can get up to 100GB of cloud storage through Google Drive. Quite helpful for any data you don’t necessarily need to store directly on your laptop and also terrific for speeding things up! If you haven’t used Lenovo laptops in the past, you might be hesitant about trying out one with an almost-too-good-to-be-true price tag. But the company doesn’t cut too many corners. The device support and connectivity, for instance, is excellent. You can find a USB-C port, a USB 3.0 port, an HDMI, a microSD card reader, and a 720p HD camera. The computer also supports 802.11AC Wi-Fi and Bluetooth 4.1. In the look and feel department, things are quite promising. The chassis weighs 4.67lbs which is satisfactory for a 14-inch form factor. The profile, in turn, measures 0.8”, which is convenient for rucksacks. The laptop is available in a standard black color (business black)—hard luck if you were looking for something distinctive in this department. Stands out for: Extreme durability! The HP Chromebook 11-v010nr 11-inch laptop invests heavily in long-term operation, using co-molded rubber edges and a spill-resistant keyboard to ensure that the vagaries of daily life don’t damage your computer. In fact, the build passes MIL-STD 810G testing which is the military standard for construction. If your lifestyle involves considerable travel or you are especially clumsy, this laptop can fit you to a T.
The processing specs of this HP Chromebook are on the lower side: an Intel Celeron N3060 CPU (up to 1.6GHz, dual-core), 4GB RAM, and only 16GB of storage. Clearly, this will not be a great choice if you have to store tons of data on your machine. The battery life, though, is surprisingly uplifting: more than 12.5 hours! That is perfect for anyone who stays on their feet for a big chunk of the day. With a weight of 2.72lbs and a thickness of 0.8”, the build of this device isn’t likely to bog you down either. An HD SVA screen with an anti-glare panel and a resolution of 1366 x 768 does a decent job of rendering your multimedia content. The graphics support is integrated—Intel HD Graphics 400. The IPS panel, in particular, comes in handy as it lets you get a wide-angle view of the proceedings on the screen. If you plan to collaborate frequently with peers, colleagues, students, etc., this will help you to do it better. What about the ports and connections? There is quite a handful: two USB 3.1 Gen 1 ports, one HDMI, and a microSD slot that supports SD, SDHC, and SDXC cards. Yes, this device is also compatible with 802.11a/b/g/n/ac WiFi and Bluetooth 4.2. Stands out for: An HDR webcam (High Dynamic Range) that brings you amazing video-calling experiences. 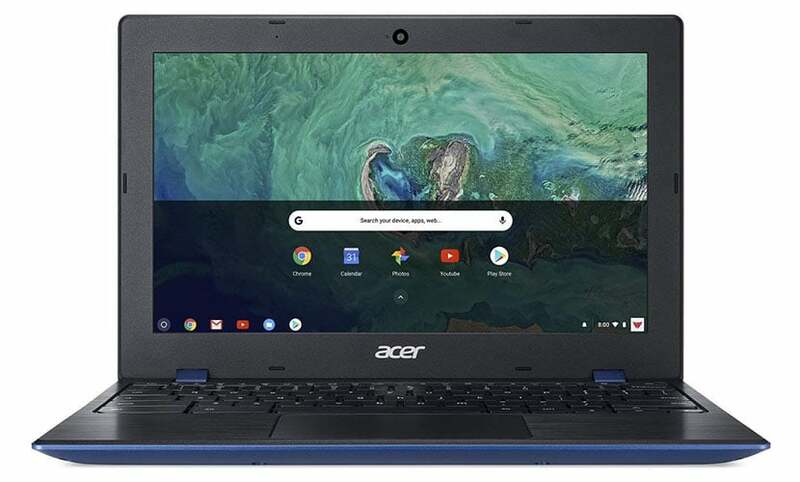 The Acer Chromebook 11 CB3-132-C4VV laptop lets you experience better image clarity than you may have been used to, and this is beneficial for businesspeople, entrepreneurs, etc., who frequently need to connect with clients. 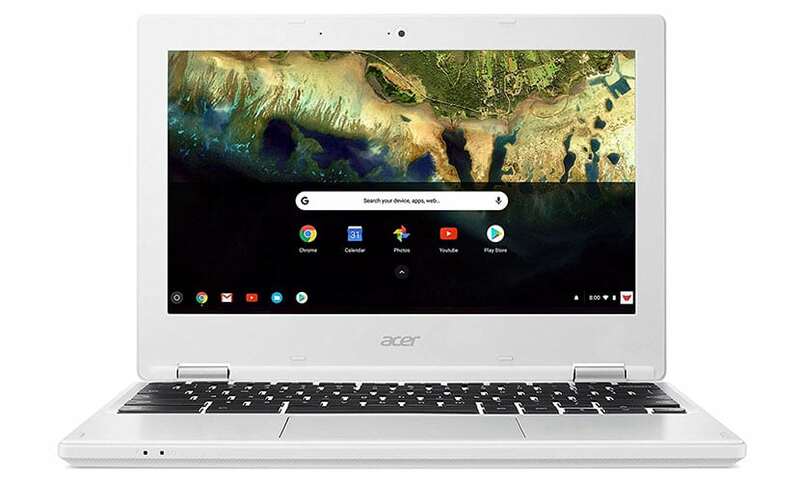 This Acer Chromebook is steered by a Celeron N3060 processor with 4GB RAM and 16GB of storage. That rather paltry storage space is expanded by the 100GB of extra space you get on Google Drive. All your data gets backed up automatically too, reassuring you as you work. The Chrome OS, as always, is speedy and quick to respond, bringing you a collaborative but secure working environment. You can choose to work on Google Docs, Sheets and Slides or access one of the many apps on Google Play Store for your requirements. The battery lasts for about ten hours on a single charge. An HD screen with ComfyView (anti-glare panel) and an IPS panel makes for a pleasing viewing experience. While the supported screen resolution is 1366 x 768, you can use the HDMI port to plug into an external display when the situation so demands. Besides the HDMI port, this laptop is also fitted with a USB 3.0 port, a USB 2.0 port. It supports 802.11ac WiFi for internet connectivity (dual-band 2.4GHz and 5GHz); the MIMO technology brings to you a stronger and more consistent signal. Acer likes keeping things light, and this laptop weighs no more than 2.43lbs. It has a thickness of 0.73”. The construction is ideal for travel-intensive, hectic lifestyles as it is sturdy without being bulky. 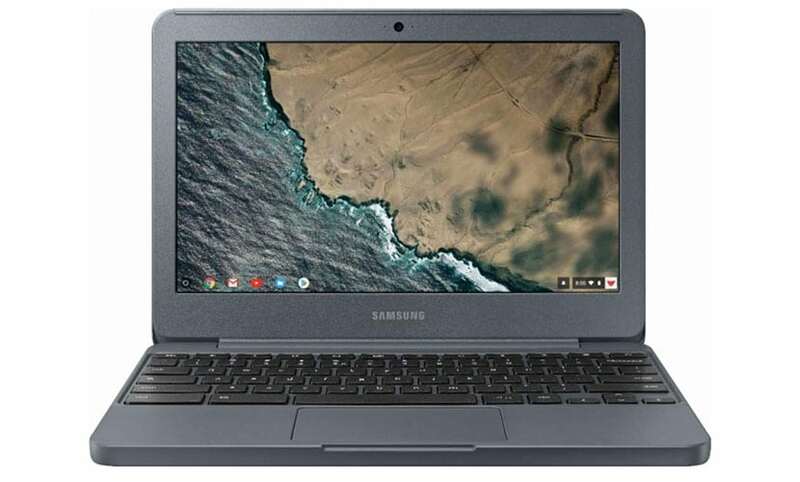 Bottom-line: It is a no-fuss, competent Chromebook to opt for at a sub-$200 price. With changing times and rising expenses, the demand for cheap laptops has escalated. They are coveted especially by audiences that want to own reliable computing companions that satisfactorily perform everyday tasks. These devices may not offer the fancy, flashy features of their pricier counterparts, but then not everyone demands those features or is willing to pay a premium for them. In light of this market dynamic, computing brands are now competing in budget laptops. You will find devices aspiring to outdo each other: a more powerful CPU in a more compact chassis, a shinier display with longer hours on a single charge, and so on. If you have been eying a cheap laptop for a while, the time is now ripe to take the plunge. The market abounds in products with varied focus areas. 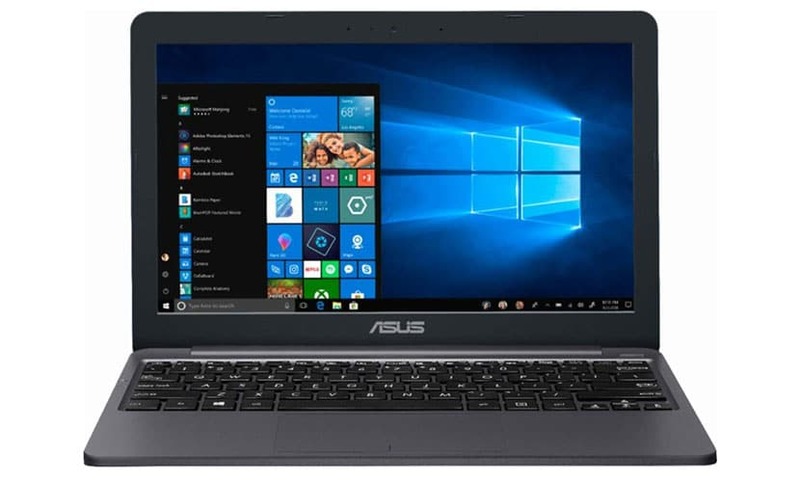 For instance, while the HP Stream 11-ah010nr 11-inch laptop (#3) is ideal for seekers of good battery backup, you can consider the ASUS Vivobook E203MA laptop (#5) if your requirement is design flexibility. Laptops such as #3 and #4 are also good, all-rounder choices that can slip into different shoes on different occasions. Make a careful bucket-list of your priorities and choose accordingly; you are almost certain to find something that gets your needs. Its Surface line of hybrid laptops, Google is still challenging the Redmond giant by sticking to its mantra of launching affordable machines that cater to users who are always on the move. It was the latter that proved laptops could be manufactured with low-cost hardware and speedy software. 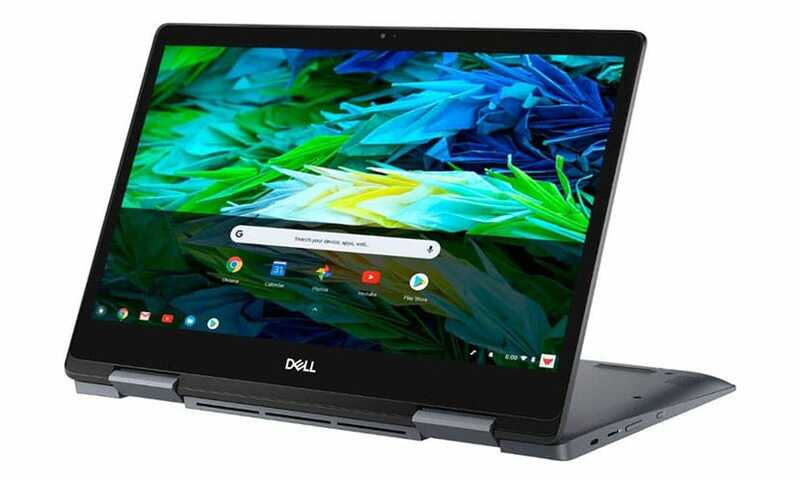 Dell’s new Inspiron Chromebook 14 7486 2-in-1 is an addition to the line of Chromebooks made for those who are always on the move and work within Google’s ecosystem of apps and services. Today, we take a deep dive look at the hybrid laptop and see if it’s better than the other Chromebooks available in the market. Before we even powered up the new Chromebook from Dell, the feeling of going back in time just dawned on us and in a negative way. 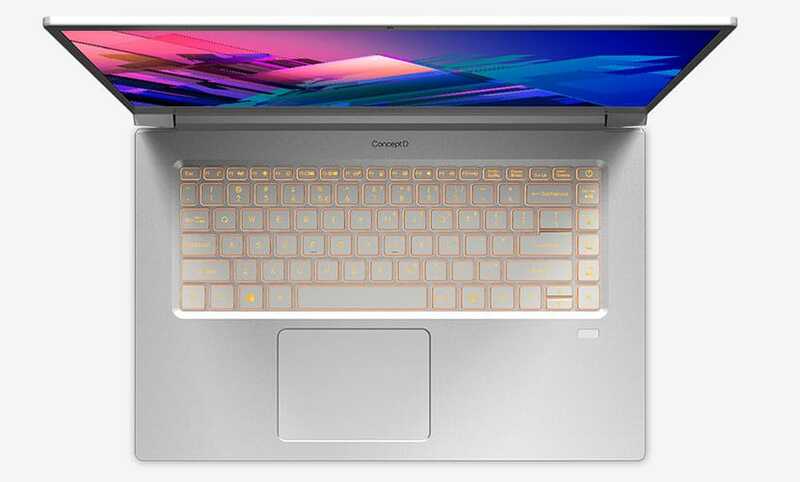 The design aesthetics of the Inspiron Chromebook 14 7486 is similar to every other Chromebooks that have been launched in the past and will not make the crowd go “wow”. However, the Chromebook 14 7486’s build quality makes up for that boring design. The aluminum chassis is durable and can withstand external elements it comes in contact with when the user is on the move. Weighing in at 3.99 pounds, the new Inspiron Chromebook 14 7486 is light-weight. The weight of the Chromebook 14 7486 is balanced when propped up on our lap or tilting the screen 360 degrees for the touch experience. The new Chromebook 14 7486 fit perfectly in our backup without needing us to compromise on any additional space. Coming to the keyboard and trackpad, the design may feel similar to Apple’s MacBook Pro. The only downside of the keyboard is the missing dedicated number pad that could add to the other productivity features the product provides and the absence of backlight underneath the keys. Typing on the keyboard was comfortable and the keystrokes were responsive as well with adequate key travel. The trackpad has a smooth surface and touch inputs were recognized by the system instantly with no lag. As of connectivity ports, it comes with two USB 3.1 Type C ports, USB 3.1 Gen 1 port, audio jack and SD card reader. 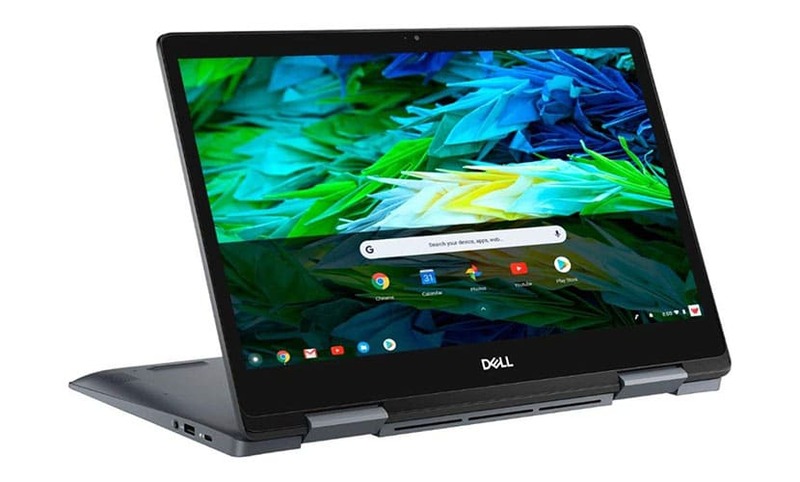 The new Dell Inspiron Chromebook 14 7486 2-in-1 can run the Google web apps without any hiccups until you try to multitask with more than 5 or 6 apps. The 8th Generation Intel Core i3-8130U chipset can help you browse the web, check your emails, handle spreadsheets and PowerPoint presentations with buttery smooth performance as long as you do not stress the CPU to point that it feels choked up. Some of this performance decrease is also associated with Chrome OS, which we will discuss further. Multitasking between apps is limited due to the 4GB RAM that comes in the new Chromebook 14 7486 2-in-1. Using web app versions of Google Sheets or Docs and browsing the web through Google Chrome while listening to music through another webpage is the maximum performance the new Chromebook can churn out. Adding more web pages while you research on a topic and also browse YouTube to look for the right video for your project can start slowing down your system. It’s not that the hardware is bad, but Dell is making it clear that the Chromebook line of devices is not meant for heavier tasks. 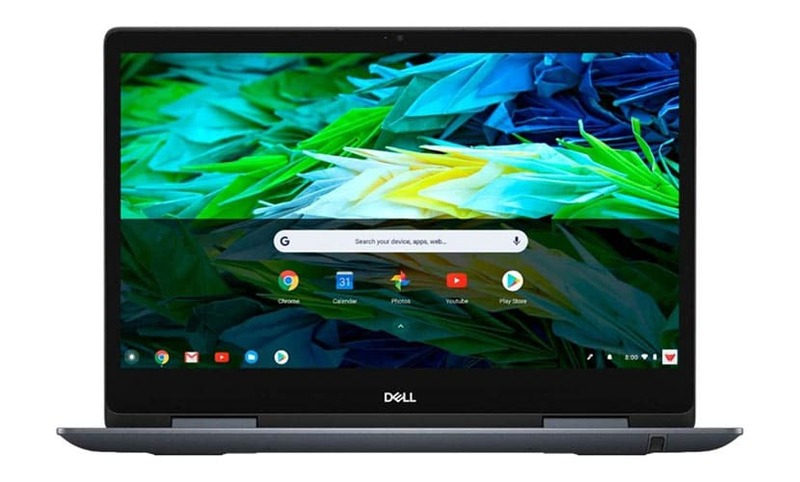 The Inspiron Chromebook 14 7486 is a device that lets you navigate Google’s ecosystem of apps and services from anywhere without breaking your bank. This means you will have to sacrifice your dream of owning a fast productivity machine. Tucked away neatly on the underside of the new Chromebook 14 7486 2-in-1 is a stylus that compliments the 14-inch FHD TrueLife touch screen display. With a myriad of developers launching apps on the Play Store, most developers have also created apps for designers to work on projects while commuting. Working on Chrome OS is entirely different from spending hours on a Windows system. With Chrome OS, you can instantly access all your emails and Google Drive files without any extra setup. You can choose to keep the device connected to the internet and access all your files or save them on the internal 128GB eMMC storage. This is an advantage as you can work on documents in the subway where internet connectivity may be a problem for you. You can save the file locally on the Chromebook and transfer the file to external storage for backup or if you wish to continue working on the document on a Windows PC. Additionally, once the system is connected to a network, all your files are automatically backed up to Google Drive. The new Dell Inspiron Chromebook 14 7486 is not all about work! With the built-in Google Play Store, you download the same games that you play on your Android device and enjoy them when you decide to take a break from work. The touch response of the display is accurate and we enjoyed playing Fruit Ninja in co-op mode during our lunch break. Although we do say that the Chromebook 14 7486 can game, it is only possible when the device is resting on a desk. The weight and dimensions of the device do not make it ideal to use holding it with two hands. 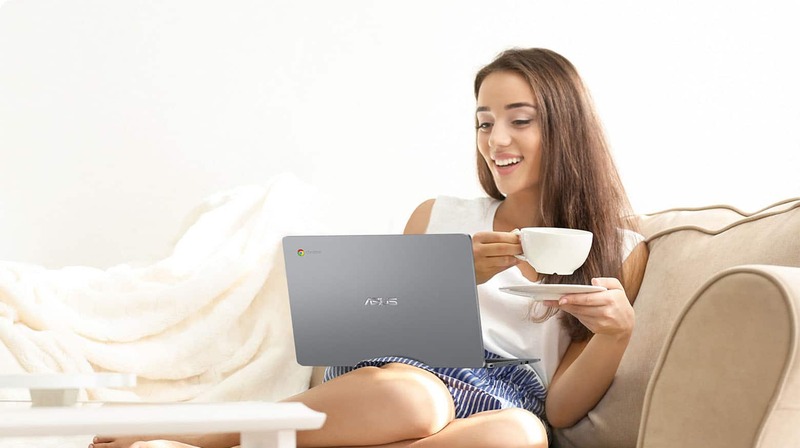 The new Chromebook 14 7486 is also a great entertainment device to consume a lot of content like movies and TV shows. Dell claims that the new Inspiron Chromebook 14 7486 offers a 10-hour battery life. During our testing, we observed that under heavy usage the device was able to deliver close to 7 hours of performance. Stress testing involved loading multiple web pages, browsing YouTube, working on Docs and watching movies. And regular usage, we limited the Chromebook primarily to productivity tasks and reduced content consumption. We still got more than 9 hours of battery life at the end of the day. This proves again that the software and hardware are meant to handle day to day productivity tasks, unlike other more expensive Windows devices that can handle more tasks. Chrome OS has been struggling to keep up with Windows even after all these years. 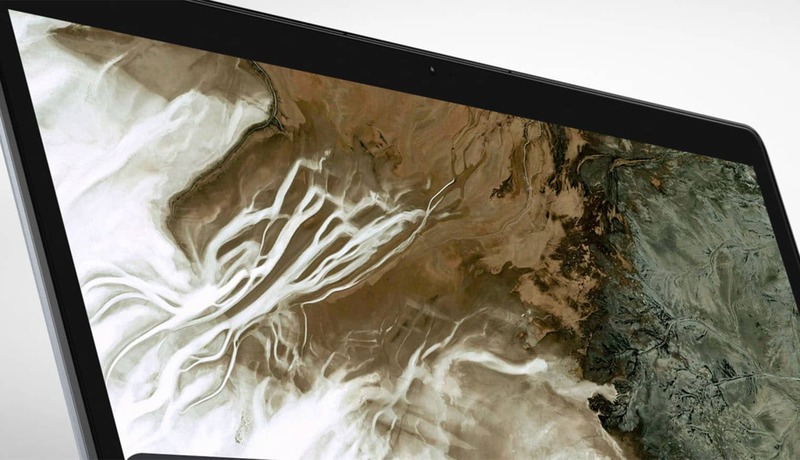 Windows has even entered Chromebook territory by launching cheaper Surface devices to entice students and bring them into the Windows ecosystem. Chrome OS is largely at a disadvantage due to the inability to support other 3rd party desktop Windows apps like Adobe Premiere or Microsoft Office. Many in the industry have relied on Win32 desktop apps to complete their tasks and the Chrome OS cannot handle any of them mainly for the reason that all the apps in Chrome OS run as an instance of Google Chrome. Be it browsing the files on your external storage or opening Gmail. Ever since the launch of Chrome OS in 2011, manufacturers have designed and launched many Chromebooks into the market. Every device does justice to the vision that Google had created of bringing affordable computing to students and professionals. Every iteration of the device, no matter how powerful, fell short due to the limited usage of Chrome OS. The story of the new Dell Inspiron Chromebook 14 7486 2-in-1 is just the same. The hardware and price of $550 are justified but is foreshadowed by the ill-fate of Chrome OS. If working purely in the Google ecosystem is your priority, the new Chromebook 14 7486 will be your choice. On the hand competitors like Samsung have launched Chromebooks as well with better chipsets, though it does bear a higher price tag. There was a time when electronic gadgets—especially computers—were considered counterproductive to creative thought. But in the present age, a competent and intuitive laptop is a designer’s best friend—a role that the all-new 15.6” Acer ConceptD 5 laptop fits into snugly. 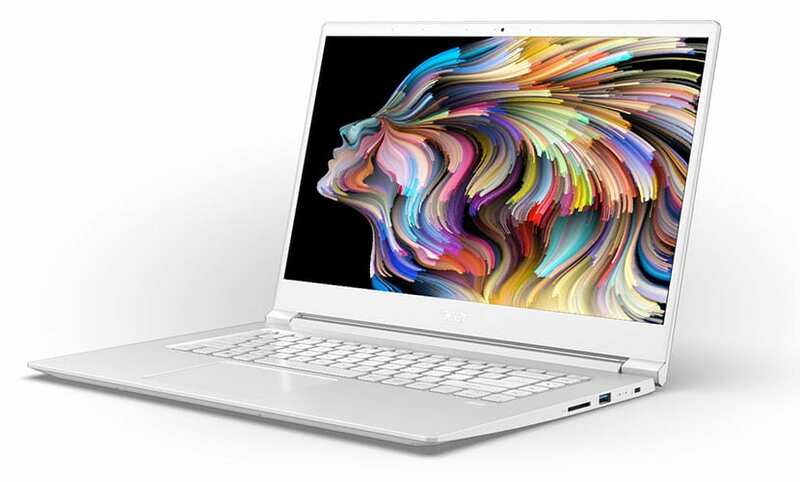 The new lightweight laptop launched by Acer at its recent next@acer event in New York is perfectly tailored to the needs of modern-age designers and other creative professionals. Launched alongside other siblings in the ConceptD series—including the ConceptD 9 and the ConceptD 7—it is aimed primarily at graphics designers, animators, multimedia artists, and anyone with a penchant for creating engaging content. The Acer ConceptD 5 offers a scintillating 4K display with Pantone-validation for excellent color accuracy. Powered by an eighth-generation Intel Core i7 processor, it also provides the CPU muscle to run complicated design software or conduct simulation and 3D-modeling. Let us analyze the features of this most recent Acer launch to predict the comfort and convenience it will bring to its target audience. Truly, the display on this one is magnificent! It provides a 4K monitor with exceptional colors in terms of both accuracy (Delta E <2) and range (100% Adobe RGB). The color-calibrated display realizes meticulous color reproduction that enthralls through its attention to detail. It helps that the color gamut supported is Adobe RGB for it includes a much wider range of shades than you will find in sRGB. The screen resolution supported is 3840 x 2160, while the graphics support is for RadeonRX Vega M GL. This combination proves to be ample for various kinds of high-res content. The cherry on the cake is the super-thin bezel that measures only 0.24” (6.2mm). You get to delight in a screen-to-body ratio as high as 80%. This makes the proceedings immersive and compelling—the ideal scenario for people who need to create and ideate with minimal external disturbance. There is also an IPS panel (In-Plane Switching) to ensure viewing comfort from various positions. Complementing the high-end display is a processing configuration that lets you complete all your design projects with speed and enviable efficiency. The Intel Core i7 processor is mighty enough to run even the most complicated design applications. The RAM support of 16GB (DDR4) and the storage space of 1TB (SSD) keep the booting and loading times low. Adding a generous dash of convenience for users is the ConceptD Palette UI. It is a nimble provision to let you fine-tune any system settings quickly, including the color profile. This will be important for the user group that this system is positioned at; graphics design professionals frequently need to fiddle with the display and other settings to match their current project. The optimized thermal system deserves a special mention. It runs at under 40db which is super quiet for a computer this powerful. What does this mean for users? Only this: a cool, sustainable and silent working environment even when the laptop has been in operation for several intensive hours. This is a thoughtful and much-needed feature in an essentially graphics-designing laptop that will invariably experience strenuous use. Acer has evidently targeted this product at creative professionals who have to be on their feet for considerable portions of their day. In light of the need for mobility, this laptop is both lightweight and sturdy. Built with innovative magnesium-based alloys (with aluminum and lithium), the ConceptD 5 weighs only 2.2lbs (1.5kg). It also has a sleek profile that measures just 0.66” (16.9mm). The intelligent choice of construction material ensures that you get more strength (allegedly up to four times stronger than regular aluminum alloys) at a far lower weight. Indeed, this laptop weighs almost 35% less than some contemporaries of a similar form factor. Bonus: The magnesium-alloy-based design also extends a sense of premium to the computer, exuding sophistication along with street-smartness. Thanks to the superior portability, you can easily carry this laptop along to the office, public transport, or travel-based assignments. You will find useful mobility-friendly features that further simplify designing on the run. For instance, an embedded fingerprint reader (with Windows Hello) lets you log in securely without having to type in a password. This is particularly handy for those who need to work in collaborative environments where data security is a priority. We especially love the backlit keyboard with its gorgeous warm-amber backlighting. Acer claims that the backlight is reminiscent of breaking dawn; we cannot help but agree. Just what you need to soothe your senses during grueling hours of work! Any portable laptop worth its salt must offer adequate options for connectivity and device support. Thankfully, the new ConceptD 5 laptop understands this well. It is equipped with a USB Type-C port (Gen 1) that permits you to transfer data at speeds as breakneck as 5Gbps. It also has an inbuilt display port, an HDMI to enable you to connect to external displays, and a Kensington Security Slot. There are three USB 3.1 ports for your devices and peripherals. You should face no limitations in carrying your world with you or transforming your space into a full-purpose workstation wherever you happen to be. 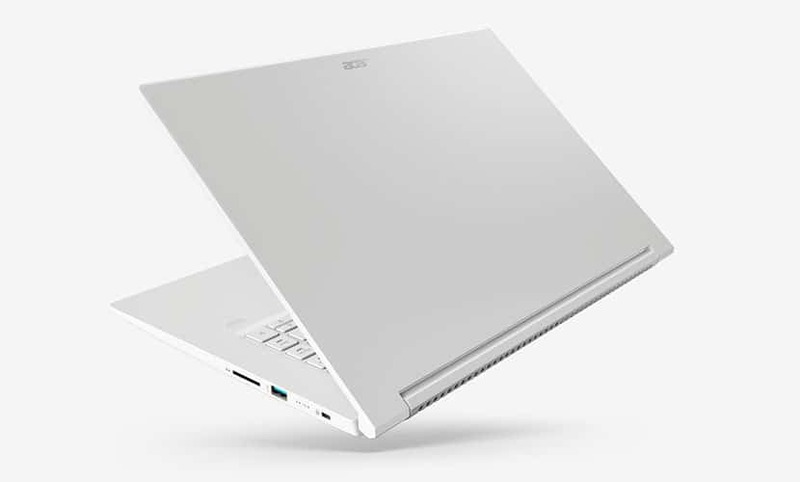 The Acer ConceptD 5 is one of the many exciting launches by Acer in 2019, and it has already started riveting audiences. At the next@acer event, it became evident that Acer is focusing on fueling creativity. The company seems willing to go the extra mile for professionals who have a discerning eye (read a compelling need for superior graphics in a lightweight package). This laptop is a stunning amalgam of great processing power, a brilliant display, and a high degree of customization. Moreover, it has a build that makes it possible to enjoy all of this without being tied to a desk. The number of gamers worldwide has increased tenfold due to the rise of streaming services and e-sports competitions. Many users no longer feel restricted to just playing games with their friends at home and enjoy investing in multiplayer gaming titles that help them play with gamers around the world. For PC gamers, the story is entirely different. 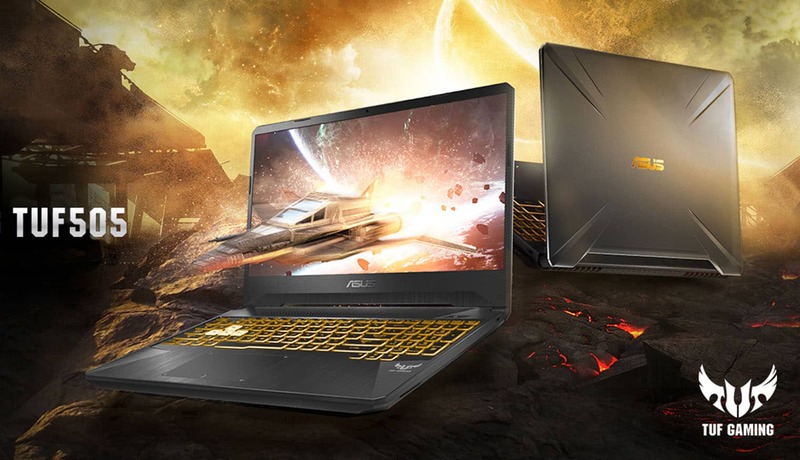 After Dell introduced Alienware products in the market, many gamers shelled out a lot of money to get powerful gaming machines they can carry around when travelling. But the bulky design and weight of the Alienware laptops became its own Achilles Heel over the past couple of years. 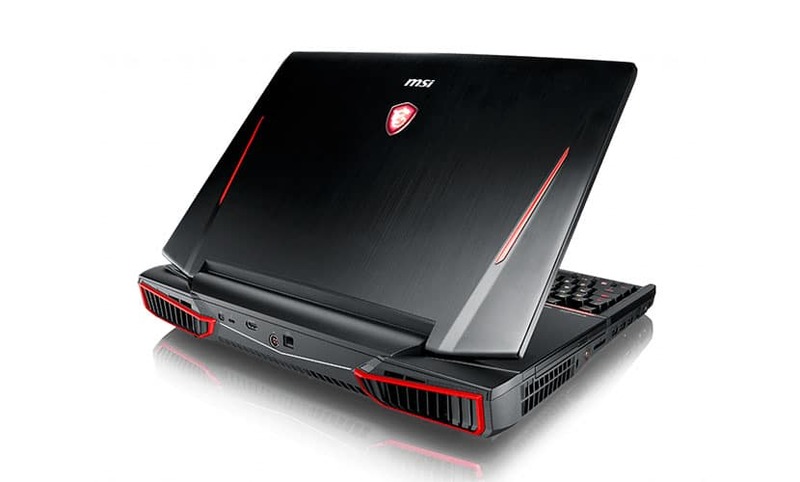 Laptops and graphics card manufacturers have now worked to bring powerful gaming machines in slimmer form factors at much more affordable rate. 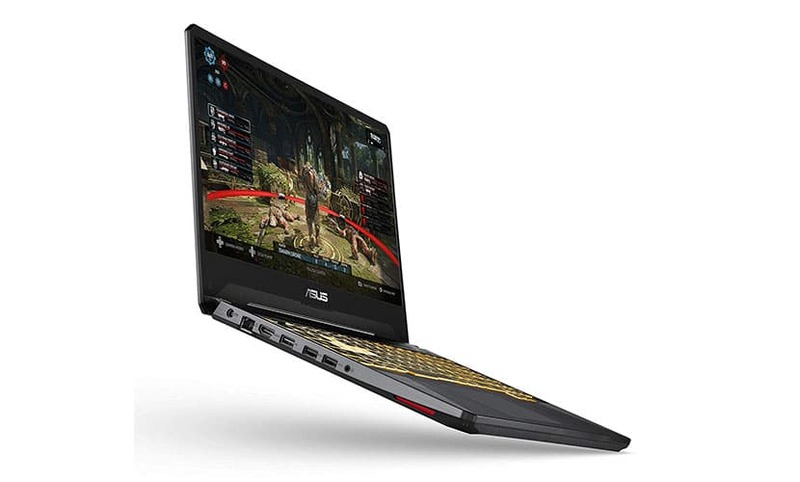 And ASUS is one of those who is aiming to take over the market share from Dell with its Republic of Gamers (ROG) and TUF range of gaming products. While ROG targets pure enthusiast gamers, TUF products are primarily for those users who prioritize durability. 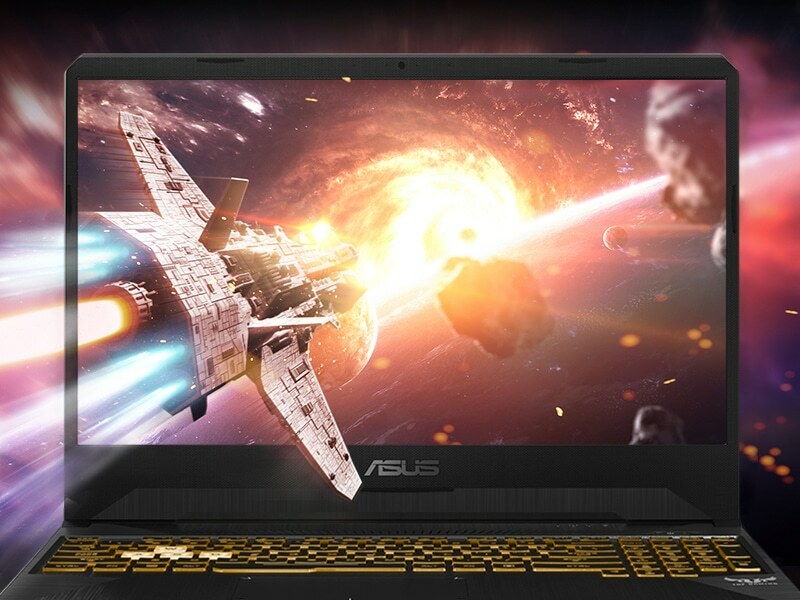 Asus has launched its new TUF505DU-EB74 gaming laptop in the market and here is our complete review. 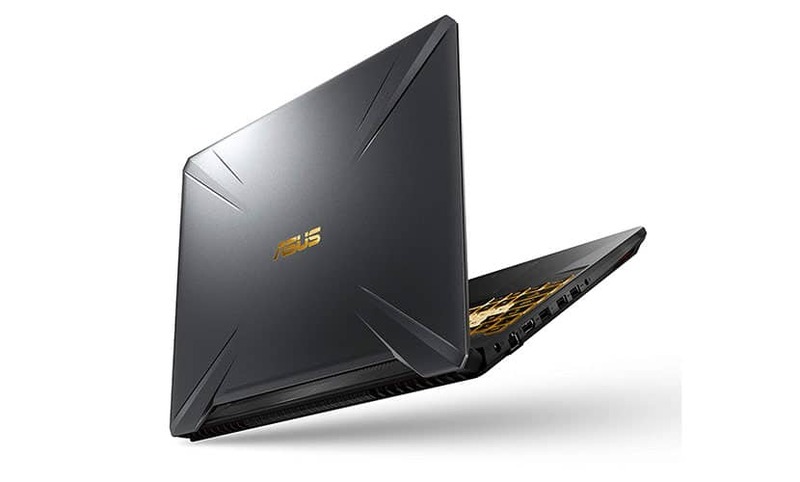 The specialty of Asus TUF series of products has trickled down to the new TUF505DU-EB74 laptop just like all its predecessors. The TUF series of motherboards, gaming laptops and CPU cases all have Military Standard 810G durability certifications. This means that the laptop can withstand drops without causing any damage to the internal hardware or the display of laptop. During our testing, we did observe that the TUF505DU-EB74 can withstand drops that most other laptops could not have survived. Every gamer’s dream is to enjoy their gaming titles on a display with the highest refresh rate. The Asus TUF505DU-EB74 comes with a15.6-inch 120Hz IPS Full HD display. We played games like Battlefield V and Apex Legends without any dropped frames. However, most games never reached 120 frames per second due to the GTX 1660Ti that comes with this laptop (which we shall cover in detail) in the later part of the review. For now, it seems that the 120Hz is being under-utilized unless you have a really old gaming titles that have never been remastered for 1080p resolution. 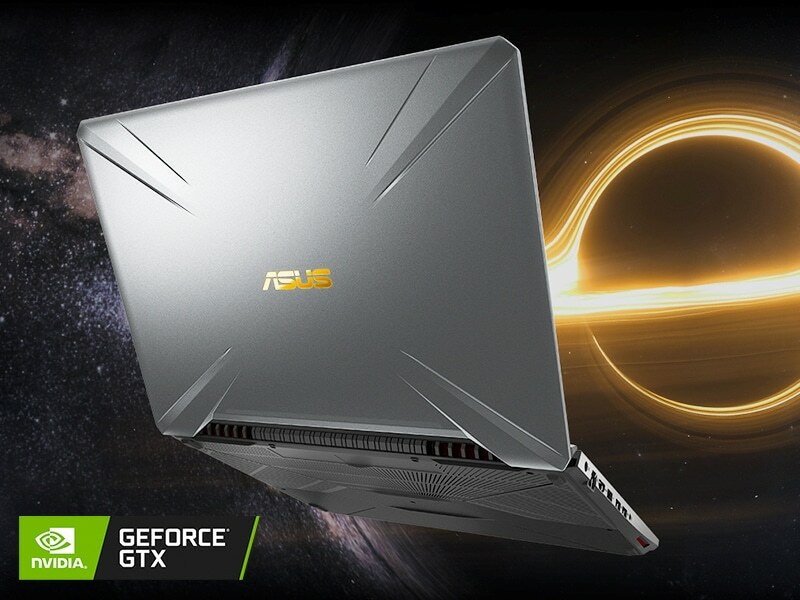 The new Asus TUF505DU-EB74 comes with the latest NVIDIA GTX 1660Ti graphics card that has 6GB of VRAM. The new GPU is an upgrade to the GTX 1060 with improved processing power. When it comes to performance, the GTX 1660Ti can smoothly handle most AAA titles including Battlefield V and Apex Legends at Ultra settings but only at a resolution of 1920×1080 giving us an impressive 80 FPS performance. The only games that took advantage of the 144Hz refresh rate were Doom and Fortnite delivering close to 120 FPS purely because they are older titles. Had the TUF505DU-EB74 come with the RTX 2080, things would have turned out quite differently. At the heart of the Asus TUF505DU-EB74 is AMD’s new Ryzen 7 3750H chipset that comes with 4 cores and 8 threads. It is clocked at 2.3 GHz but also has a max boost clock speed of 4 GHz. The Ryzen 7 chipset also benefits from an in-built Radeon RX Vega 10 graphics chip. Ryzen chipsets are known for their multitasking performance, and the TUF505DU-EB74 works well for streamers, gamers and content creators alike. 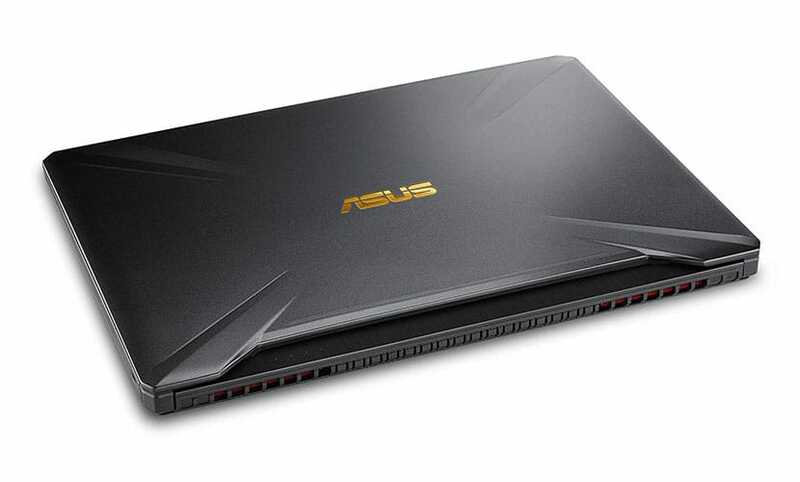 We were not at all disappointed by the performance of the Asus TUF505DU-EB74. The Asus TUF505DU-EB74 comes with 16GB of DDR4 RAM with a frequency of 2666 MHz. For storage, you get 256GB and 1TB of storage in SSD and HDD forms respectively. The read and write speeds of the storage units were good without any lag in file transfers. Games loaded quickly when installed them on the SSD, but we ended up installing other titles to the HDD due to the large game files. The TUF505DU-EB74 did not have any shortage of connectivity ports. It comes with an Ethernet port, HDMI 2.0, USB 3.1 ports and a headphone jack in case you decide to bring your gaming headphones while travelling. The ports are neatly placed to the left of the laptop making it easier for users to instinctively look for ports only on one side of the laptop. 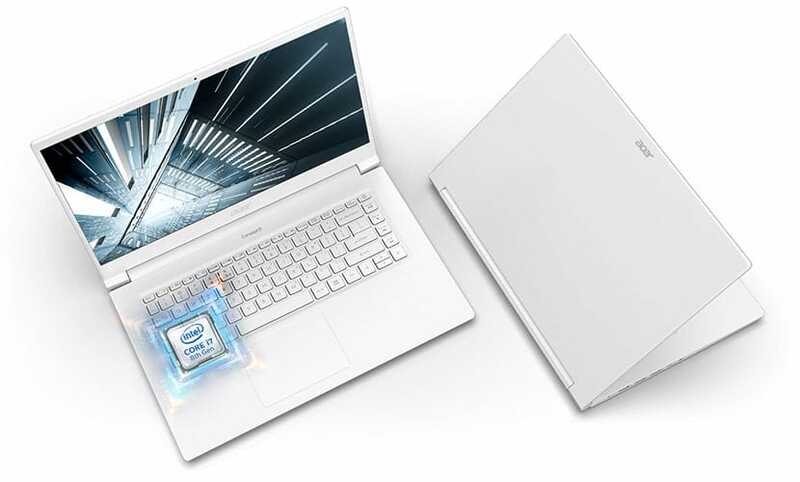 The laptop also supports the latest Intel 802.11ac Wi-Fi 5 which improves connectivity and can handle transfer speeds of upto 1.7Gbps. Most gamers do use ethernet cables to ensure smooth multiplayer connections while others stay wireless. The latter users can benefit with the stable connections due to the new technology from Intel. 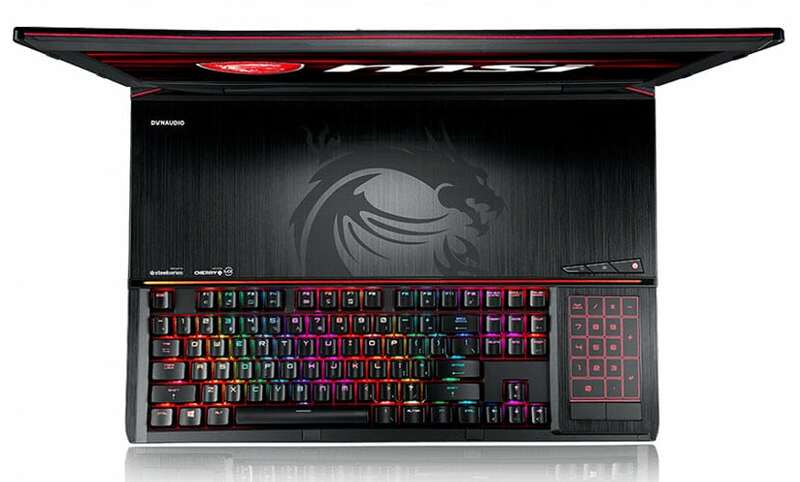 The Asus TUF505DU-EB74 has a backlit RGB keyboard that supports the Aura RGB technology. 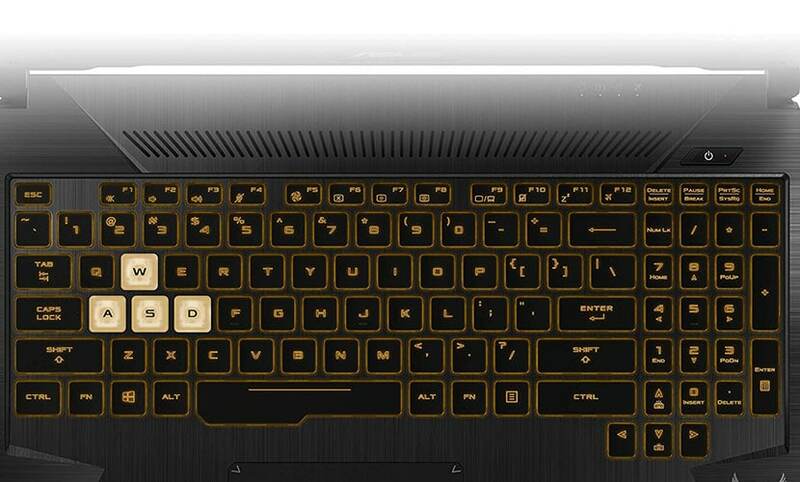 As gamers, we love to customize the backlight of the keyboard in different ways. 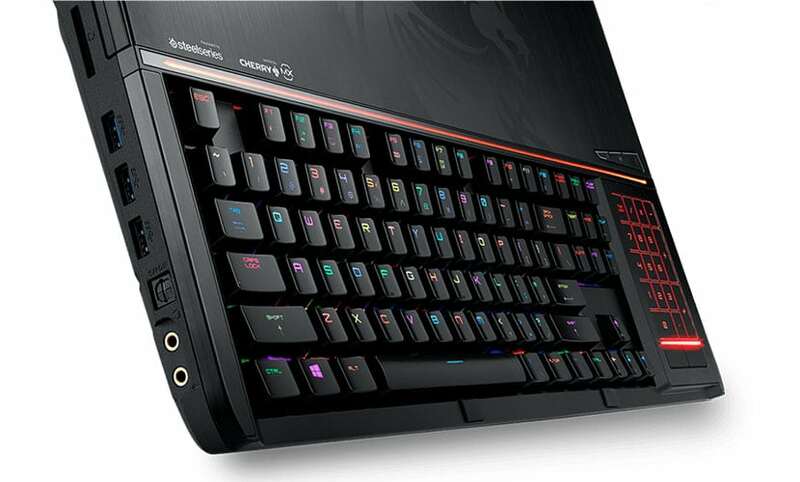 With ASUS Aura RGB, you can change the colors of the keyboard to your taste. The colors can either be static or pulsating. Showing off your gaming rig to your friends start right here. ASUS is also the first company to introduce a new technology when it comes to air-flow and dust filtering withtin laptops. The company claims that their new Anti-Dust Cooling system increases system stability and longevity by removing dust from a dedicated dust tunnel placed next to the air-vents. The two fans within the laptop not only pushes hot air out but it also keeps the internals clean by avoiding long-term dust build-up within the chassis. 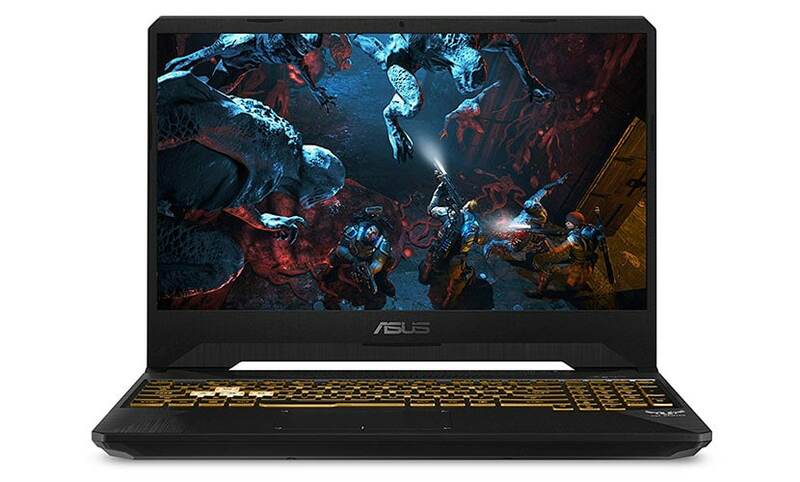 Asus has yet again entered Alienware territory by bringing in new updated affordable gaming systems in the market. But on closer observation, the GPU is the only downside that makes the TUF505DU-EB74 a hard-to-swallow buy. Had the company given options for better RTX cards, then gamers need to look nowhere else for the best durable and portable gaming machines. 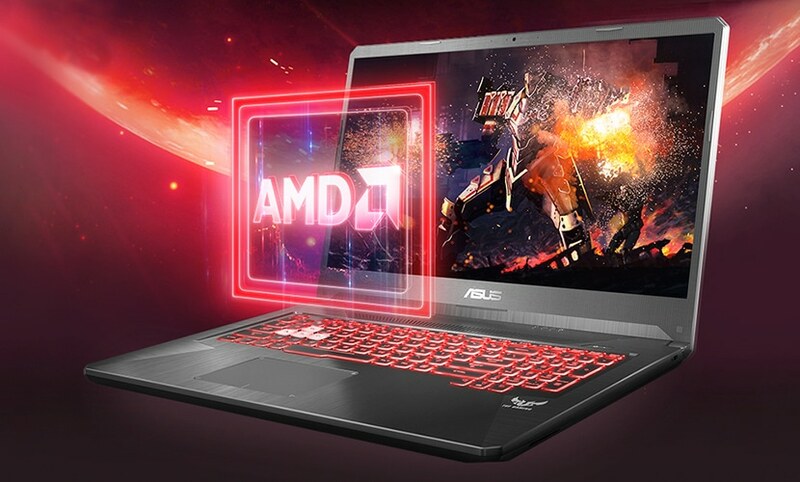 At $1,100, gamers can invest in the ROG laptops which come with RTX cards and more gamer centric designs but loosing out on the Military grade drop protection. The announcement of 18-inch laptops has met with mixed reactions from market watchers and consumers alike. At the surface, the launch of a computer in a larger form factor appeals to anyone who desires desktop-like performance from a laptop, whether in terms of size, screen real estate or performance. When you have more inches in which to achieve all of that, things become a great deal easier. However, let us be honest: there are almost too many form factors to choose from in the marketplace already. There is the nifty 13-inch, the in-between 14-inch as well as the golden mean of a 15-inch. As you go up the scale, you meet a 17-inch laptop that pretty much offers you all the strength and screen space you need in a device that is not a desktop. It is in a family of such siblings that the new 18-inch laptop is set to be launched. So, who might need an 18-inch laptop? Will anybody at all, or is it just overkill? Well, an 18-inch laptop is likely to catch the fancy of creative professionals who demand a large screen and optimum performance to run high-end software and experience vivid colors and details on the monitor. It should also find favor with gamers—especially professional gamers—who have both the budget and the requirement for mammoth laptops that show every little proceeding on the battlefield. Likewise, these devices also cater to professionals who need to run intensive applications, say for number crunching or animation, and would be well off with a laptop that is almost like a desktop. 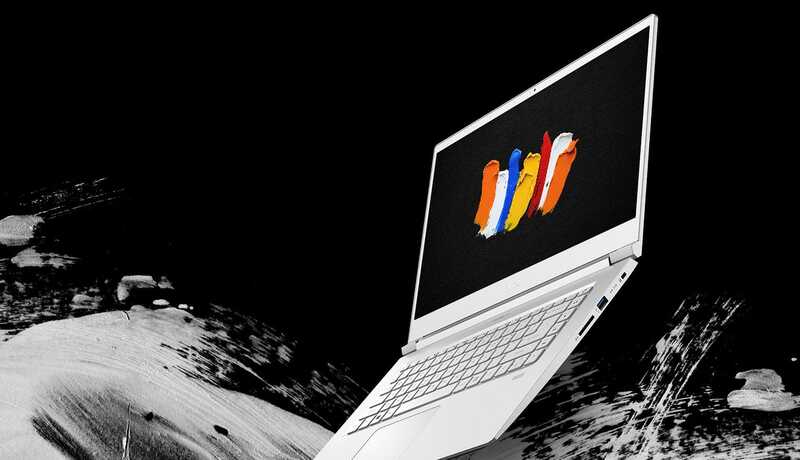 In this article, we have consolidated recommendations for the best 18-inch laptops 2019. We have also brought to you essential pointers on how to, if at all, go about purchasing the right 18-inch laptop for your lifestyle. This question will be difficult to answer if you already own a 17-inch laptop. The marketplace seems to be getting flooded with new form factors, and too much of a good thing can swiftly become overwhelming for the consumer. The promised 18-inch models are unlikely to be much bigger, what with competing manufacturers endeavoring to keep the chassis lean and mean. Yes, the latter will have some additional space to host a powerful CPU and provide better storage options to the users. But the biggest draw of an 18-inch laptop is definitely that big, big display. The new screen size will delight anyone who wants to experience compelling multimedia and stop complaining that laptops are too tiny to do justice to the intricate details. Chances are, these computers will support an aspect ratio of 16:9 which will be well suited to HD content or Blu-Ray. The imagery is likely to fit the screen better and result in a more satisfying experience, especially for discerning audiences. You will also typically get a screen resolution of 1920 x 1080 which is optimal for most present-age games, including AAA titles. You should consider exploring 18-inch laptops if your primary usage will center on gaming or multimedia playback/editing. The extra screen space is welcome if you are willing to compromise on portability. As more computer manufacturers launch offerings in this space, it will become apparent whether the gains in processing muscle are also worth noting. This is, of course, a fairly new form factor and there aren’t many options to choose from at present. However, depending upon the reception and the ever-growing popularity of devices that offer the best of both worlds, it looks likely that more brands will announce new product lines in this league. Your usage: You will do justice to the price and size of an 18-inch laptop only if you use your machine for gaming, multimedia, or heavy-duty processing tasks like simulation. These devices are extremely powerful and offer wide screens to let you work without missing your workstation. It makes little sense to invest in one of these if all your laptop is ever going to do is open text documents and refresh your e-mail. Your mindset: New form factors frequently take time to be accepted, with the market being limited at the outset. An 18-inch laptop suits you to a T if you are of an experimental mindset and enjoy working on large, mighty devices that may or may not be mobile. However, if you are risk-averse, it makes sense to wait it out until more industry players jump onto the bandwagon. Your lifestyle: You will be compromising on portability. Few 18-inch laptops are likely to be thin and lightweight enough to be lugged along without effort, even though only time will confirm this for sure. 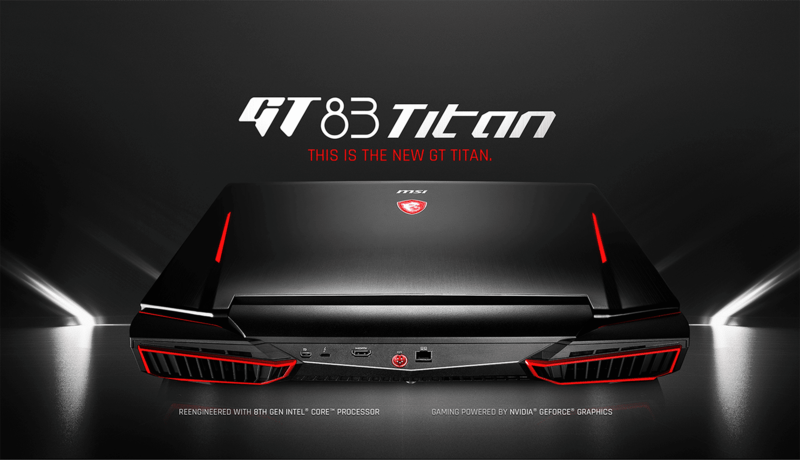 MSI has taken the lead in the world of 18-inch laptops by launching the MSI GT83 TITAN-027—a powerful laptop driven by an Intel Coffee Lake i7-8850H processor (eighth generation, up to 4.3GHz) and NVIDIA GTX graphics. While targeted essentially at gamers, this computer is perfectly suited to anyone wishing to derive the maximum performance for their standard endeavors at work or play. Considering the configurations—32GB RAM, 1TB SSD with 1TB HDD, and Microsoft Windows 10 (64-bit)—this laptop will not flinch even when you engage in processor-draining pursuits like programming or multimedia editing. The Lithium-Ion battery (8-cell) has a capacity of 75Whr. 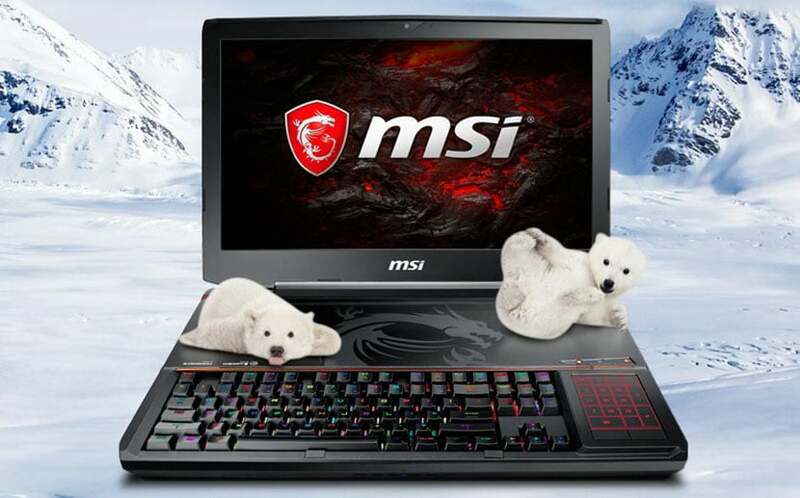 As the pioneer in the league of 18-inch laptops, MSI has also bestowed its offering with an exclusive gaming bundle on purchase (valued at $220). The package includes a number of exciting items such as an MSI Clutch GM10 mouse and mouse pad, an MSI Force GC30 wireless gaming controller, and an MSI DS502 gaming headset. Not only that, but it also contains MSI Lucky Edge of the Cup. Now that is quite a treat for gaming enthusiasts! On the display front, you get an expansive 18.4″ FHD screen with a resolution of 1920 x 1080. The monitor supports a wide view as well as IPS-level non-reflection to limit external interference. The dedicated NVIDIA GeForce GTX 1080 graphics card with 16GB of dedicated memory brings to you compelling imagery irrespective of the gaming title you want to pursue. Note that this laptop is VR-Ready which means escaping into an alternate world is a cakewalk. This imposing 18-inch laptop is excellent on the connectivity front. It offers a winsome combination of high-speed LAN and convenient Wi-Fi: the Killer Gaming Network E2500 and the Killer N1550 Combo (2*2 ac). Plus, the laptop also supports Bluetooth 5.0. The provision of Killer networking helps gamers avail of a consistent, strong signal which is a prerequisite for online gaming marathons and other competitive events. Interestingly, this computer’s support for devices and peripherals is also impressive. You can access an entire assortment of USB ports: three USB 3.1 Gen 1 ports, two USB 3.1 Gen 2 ports, and a Thunderbolt USB Type-C port. If you wish to connect to an external display, you can employ the HDMI port that supports a 4K display at 60Hz. Additionally, there is a mini display port, an SD card reader (XC/HC), and an optical drive (Blu-Ray writer, 9.5mm). The excellent device support helps upscale the overall portability of this device by allowing you to connect to anything that you need outside of your regular workstation. For an 18-inch laptop, the weight is not obnoxiously high—12.13lbs. The thickness, however, is considerable at 2.7 inches. So, needless to say, it is not the ideal laptop to slip into backpacks and take off without a care in the world. It is, however, the kind of desktop-replacement laptop that will let you immerse yourself in the proceedings, never fretting about the performance being wanting or the screen too small. The laptop biosphere is an interesting place to be just now, with new launches, form factors, and trends mushrooming by the minute. Changes happen by the dozen, every time you blink, and there is always something new to be explored in the world of computing. The 18-inch form factor has been introduced in light of the audiences’ increasing need for a laptop that can fuel demanding lifestyles and never seem to be a desktop’s poorer cousin. 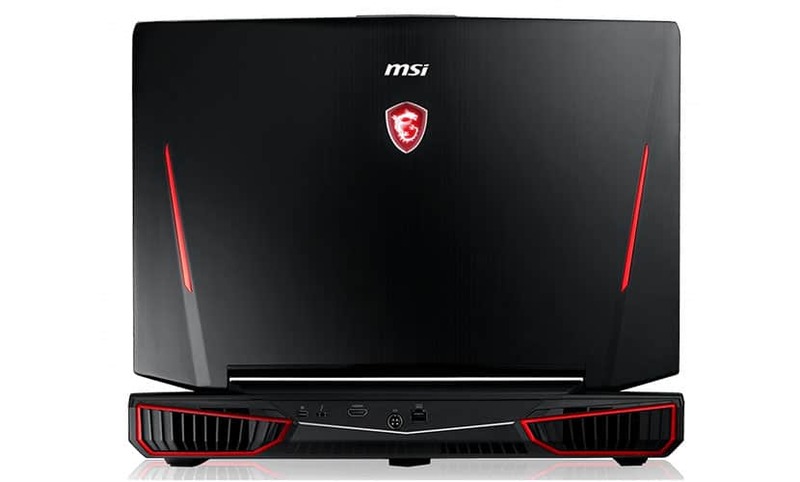 MSI has been quick off the mark, announcing a behemoth that is perfect for extreme gaming as well as adrenaline-intensive activities that many users tend to reserve for full-purpose machines. It brings to the table excellent connectivity and support for versatile endeavors (personal as well as professional). As the year advances, more 18-inch laptops are expected to follow suit, upping both the competition and the features that users can expect from these machines. If you have always craved a laptop that has a display as compelling and vast as a desktop along with the power of its larger sibling, an 18-inch laptop could be just your cup of tea. It extends the promise of a 17-inch machine while being adept at providing even greater power and visual brilliance. The marketplace of laptops is, quite literally, flooded. Every other day, you get introduced to new machines with stylish features, new form factors for that added zing and agility to life, and the kind of processing strength that can rival that of full-purpose desktops. It is no wonder that announcements like these don’t come cheap, which is why the prospect of laptops under $300 sounds too good to be true. How can a computer that cheap actually be useful enough for any of the myriad tasks that present-day audiences need to perform? Except: they are. While many brands have centered their focus on upscale computers that offer the fanciest bells and whistles, many others have prioritized cost-cutting. Top computer makers like Acer, ASUS, Dell, HP and Lenovo have understood that not everyone wishes to—or can—own an incredibly powerful laptop that is also shockingly expensive. Indeed, not all of us need to. For daily computing needs at school or the office, a computer that is easy to carry and quick to open up word processors and browsers can suffice, even if it hasn’t top-notch acoustics or an ergonomic keyboard design. It is in this context that cheap laptops—also called budget laptops—have become readily available in the market. You can find decent computers under $1000, $500 and even $300; while these devices are pleasantly inexpensive, they are also adept at keeping their promises. 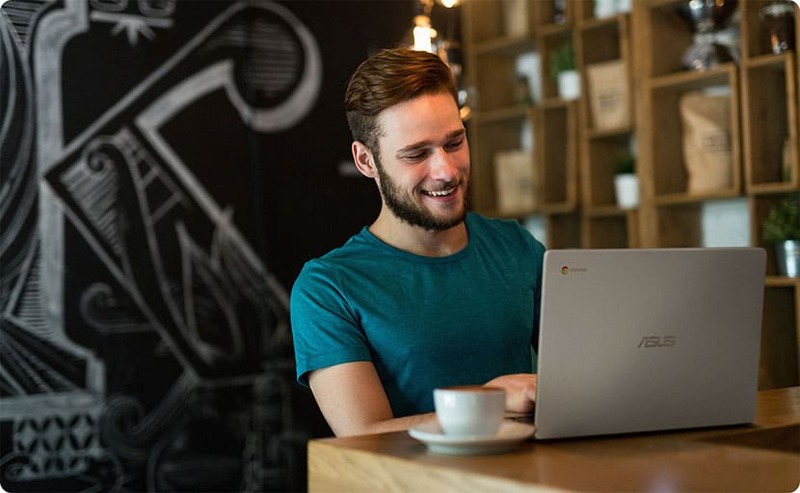 In this article, we have culled out for you ten best laptops under $300 2019 that provide reliable performance on a budget. They span across form factors—from 11 inches to 15—and are suitable for various needs, ranging from personal to professional. But before you move to the recommendations, we would advise you to brush up on some essential knowledge about this select line-up. Is it Wise to Buy a Cheap Laptop Under $300? Over time, this has become ingrained in our minds: cheap equals poor. When something comes to you cheap, you tend to presume it will also be low in quality and performance. Happily, this is nothing but a myth as far as the consumer laptop marketplace is concerned. 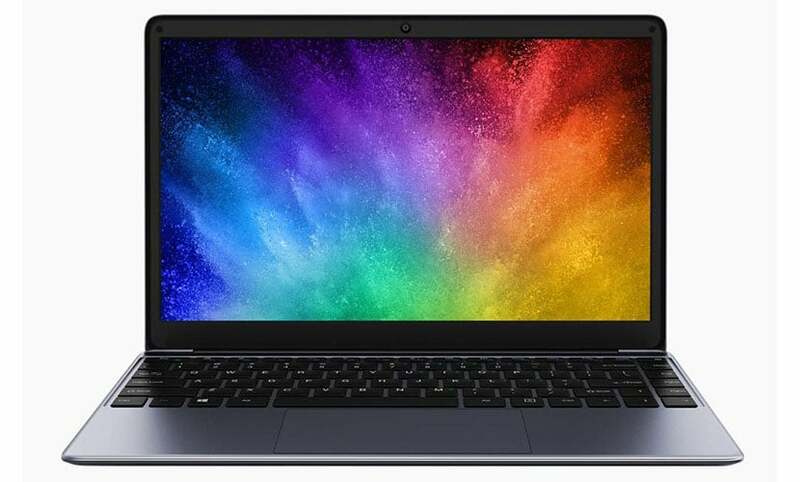 Today, many leading manufacturers have come up with budget laptops that you can buy for only a few hundred dollars without compromising on performance or display. While it is true that these computers are not ideal for heavy-duty pursuits like gaming, they sure are rock-stars for everyday work—and all without drilling a hole in your wallet! You are a student seeking to purchase a budget laptop for regular classroom activities like taking notes, working on decks, or even watching videos for research and entertainment. Note: If you are a design or programming student or your major entails running complicated software, a budget laptop might not be ideal. You are a young professional or entrepreneur who doesn’t want to splurge on an expensive laptop. You don’t plan to utilize your device for tasks beyond routine business needs like checking e-mail, video conferencing, and carrying along on travels. You are a home-based user who needs a portable laptop for entertainment, watching recipe videos in the kitchen, sitting back and chatting with friends, or completing routine tasks for work. It is easy to take off anywhere you want with a laptop like this, for most products in this league are mobile and lightweight. You should not expect top-tier hardware. Manufacturers have to cut corners somewhere, and many cheap laptops offer limited storage space and memory. However, there frequently are options to plug into card readers, devices through USB ports, etc., to access anything you might need. You are unlikely to experience the visual brilliance of a dedicated graphics card like NVIDIA GTX or RTX. There is simply not enough processing muscle, and you must make peace with integrated graphics. However, that is not to deny that many inexpensive laptops now offer compelling displays with vivid colors and details. Cheap laptops work best when you perform standard computing pursuits like creating documents or presentations, checking e-mail, and browsing the internet. While you can pursue some degree of CPU-intensive work (such as image- or video editing), you should remember that the speeds and efficiencies will be much lower than pricier laptops with more processing prowess. 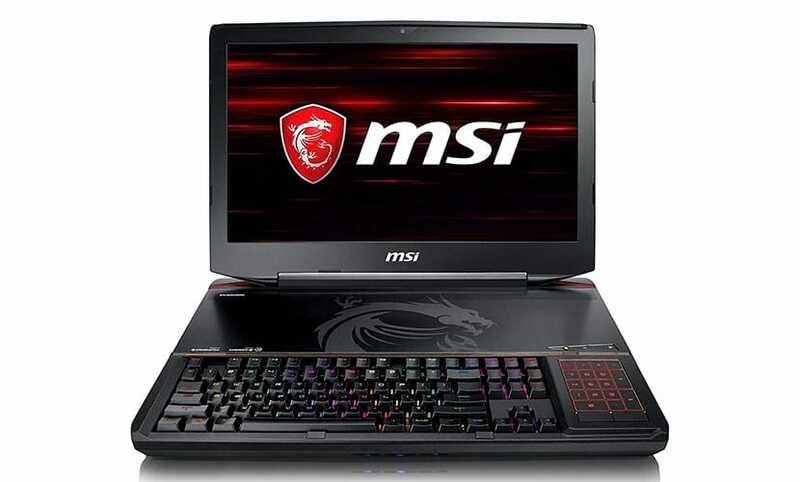 Few of these laptops will be suitable for gaming or processor-draining endeavors like simulation and 3D modeling. Don’t expect too many fancy features in sub-$300 laptops (read keyboards with per-key lighting, surround sound, etc.). Manufacturers prioritize low prices, and the resulting products are usually pruned of features that are delightful but not indispensable for day-to-day requirements. Note: The laptops on this list are priced at around $229–$300. ​Best Feature: Incredibly long battery life at 13.5 hours. The 15.6” Acer Aspire E 15 E5-576-392H laptop proves to have adequate juice for even menacingly long days at work or evenings when your group assignments for school refuse to wrap up. 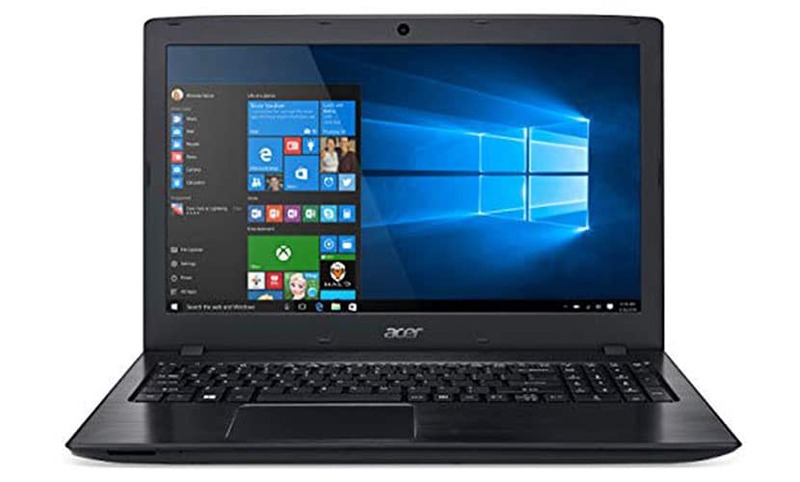 We also love the audio enhancement technology used by this laptop—Acer TrueHarmony—that makes a significant difference to the overall sound quality. You can enjoy meticulous, distortion-free sound while working, watching movies, or talking to friends and colleagues. This Acer Aspire is the answer to your quest if you need a budget 15-inch laptop. 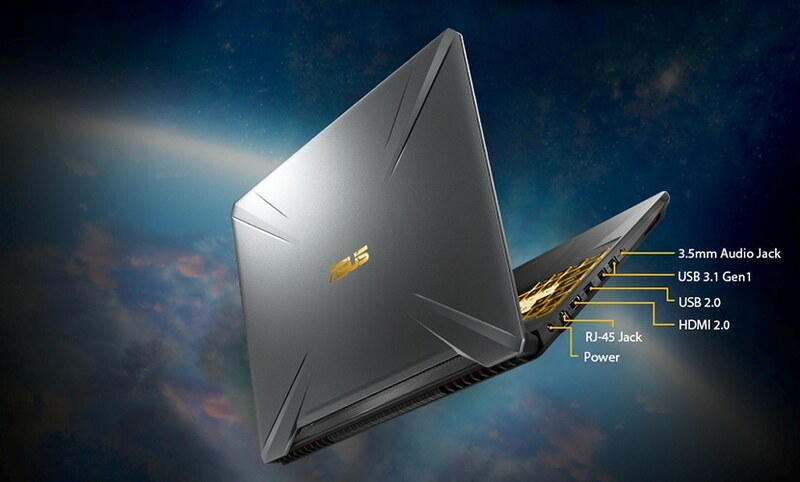 It packs in a reasonably powerful CPU—an Intel i3 that can be turbo boosted up to 3.4GHz—with 6GB RAM and a 1TB HDD. There is also an optical drive (DVD-RW, M-DISC enabled). This computer offers an FHD screen with Intel HD Graphics 620 and a full resolution of 1920 x 1080 that does justice to all your content. This combination is quite winning to ensure you derive the most performance and satisfying imagery at a paltry sum. Plus, the design of the laptop is such that you can access (and upgrade) the hard drive and memory via a nifty compartment door. Build-wise, Acer has kept things simple: the obsidian-black chassis weighs about 5.27lbs which is not bad for a 15-inch laptop. The profile, however, measures 1.2”—not as sleek as you might desire for a device that must travel in your backpack day in and day out. It elevates the 802.11ac Wi-Fi with added consistency and signal strength. The device support is superb too, with three USB 3.0 ports including a USB Type-C port for rapid data transfer, an HDMI port, and an SD card reader. Best Feature: High on portability with a lightweight chassis that weighs only 3.64lbs, high on performance with the Windows 10 operating system in S Mode. 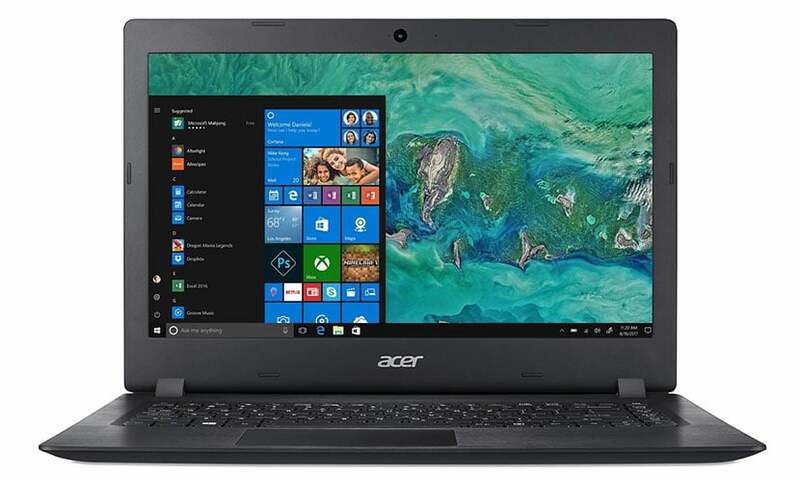 The 14” Acer Aspire 1 A114-32-C1YA laptop makes the most of this productive OS, bringing to you a secure browser (Microsoft Edge), quick loading and booting times, the Microsoft Store for an entire world of useful apps, and access to OneDrive or DropBox for storing data on the cloud. Bonus: You also get a one-year subscription to Microsoft Office 365 Personal to use all the apps you need for documents, decks, spreadsheets and the like. These features come in handy for both students and professionals who need a working environment that provides them with speed as well as efficiency. This Acer Aspire is powered by an Intel Celeron N4000 processor, supported by 4GB RAM and 64GB of storage space (eMMC). The processor can run up to 2.6GHz which is adequate for day-to-day tasks. You get a fair amount of unplugged usage too: about 6.5 hours. On the display front, Acer has equipped this device with an FHD screen with a screen resolution of 1920 x 1080. It supports Intel UHD Graphics 600. You get a wide-screen view that is bright and colorful, suitable for pursuits like sitting back to enjoy a favorite film. The “BlueLightShield” technology (to weed out harmful blue light) is a significant triumph, helping you to work long hours on your machine without straining your eyes. Portability is a major commitment for this laptop, and the lightweight and thin chassis (0.7”) ensures you can carry it along wherever you go. Upping the mobility further is a precise touchpad—smoother and more accurate than you may have been used to in other budget laptops—and 802.11ac Wi-Fi. There is a useful array of ports: one USB 3.0 port, two USB 2.0 ports, a card reader (SD), and an HDMI. Best Feature: The ability to use this laptop in multiple modes depending on what suits your needs best: laptop, tablet, tent or stand. 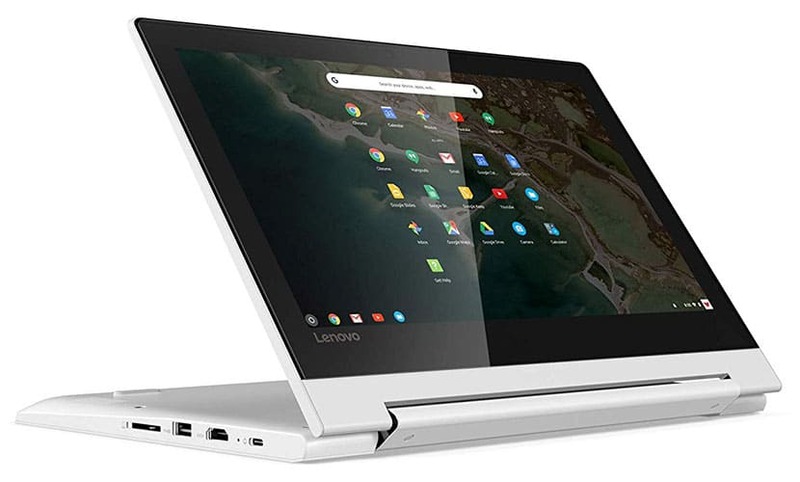 The 11” Lenovo Chromebook C330 2-in-1 convertible is very flexible and offers 360-degree rotation to switch instantly from a regular laptop to a portable tablet, from a tent to a stand for content display and sharing. The fact that this blizzard-white device is also amazingly lightweight and sleek—2.6lbs and 0.77”—elevates the overall ease of use even further. You can comfortably carry this laptop around with you without feeling burdened; it can also be slipped into backpacks without a glitch. Lenovo has come up with a smart laptop within the sub-$300 price range that combines everything you typically need: a reasonably fast processor (MediaTek MT8173), adequate memory and storage for daily needs (4GB RAM and 64GB eMMC), a long battery life (10 hours), and a responsive operating system (Chrome OS). The operating system is a big plus with Chromebooks because of its uber-responsiveness, accessibility to mobile apps, and in-built virus protection. While the eMMC storage ensures a reduction in booting and loading times, the available space can be rather scanty. This laptop makes up for this by providing an additional 100GB of cloud storage via Google Drive. Bonus: You can sync your device with your Android phones or tablets as if it’s the easiest thing in the world. How about the display? Well, the FHD monitor comes with an IPS panel to ensure maximum viewing comfort across angles/positions. The screen resolution supported is 1366 x 768. Note that this laptop has a touch display (10-point). Also, you will not be left wanting for device support and compatibility, thanks to a USB Type C port, an SD card reader, 802.11ac Wi-Fi, Bluetooth 4.1 (with support for up to two parallel Bluetooth devices), and a webcam (720p). Best Feature: Here’s another Chromebook that makes your life simple with its hinge-based design. 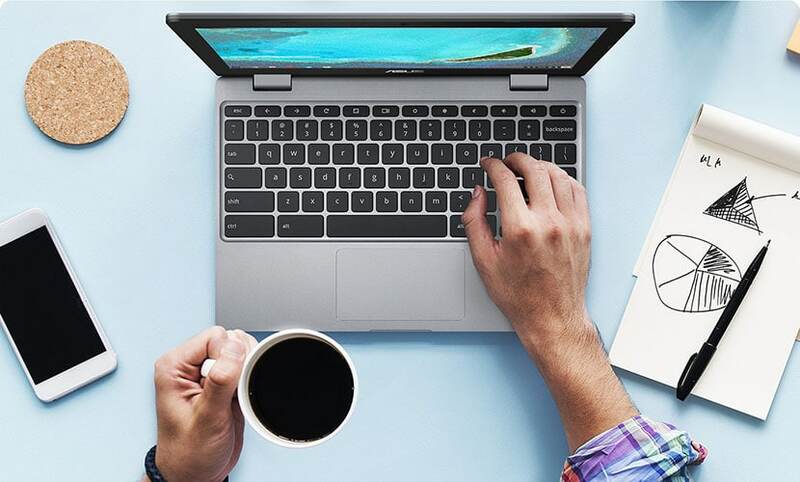 The 15.6” ASUS Chromebook C523NA-DH02 has a 180-degree hinge that allows you to lay the screen flat and share content with your peers or colleagues comfortably. Besides the flexible build, this Chromebook also benefits significantly from a gorgeous, narrow-bezel display (6mm or 0.23”) that maximizes the screen area and makes your imagery appear immersive. The resulting screen-to-body ratio is as high as 80%. Powering up this Chromebook is an Intel Celeron N3350 processor that can run up to 2.4 GHz. It is equipped with 4GB RAM and 32GB of eMMC storage space. The available memory is somewhat low even for budget laptops, but it is complemented by a bonus 100GB of space on Google Drive; you can conveniently store documents, presentations, etc., on the cloud and work on them as easily as you access apps on the Google Play Store. Aside from the narrow-bezel, the overall display is passable. An HD monitor with a resolution of 1366 x 768 and support for Intel HD Graphics 500 renders your content effectively. An anti-glare panel (matte) limits reflections from external sources and prevents your eyes from feeling strained after long hours of usage. Complementing the display is a good audio system with two high-quality stereo speakers. The sound chambers are larger than usual to produce high-fidelity audio. Notably, this laptop is also extremely portable. It weighs only a tad above 3 pounds—3.1lbs—and has a slim profile measuring 0.6”. Add to that an assortment of USB ports including a USB Type-C port, an SD card reader, and 802.11ac Wi-Fi, and you have a device that will fit in anywhere. ASUS has adhered to strict construction standards to keep this computer stylish yet sustainable, testing everything from the ergonomic keyboard to the hinge (20,000-cycle open-and-close tests). Best Feature: Awesome sound! The 11.6” Lenovo Flex 11 2-in-1 laptop comes with Dolby Audio Premium sound that helps you enjoy (almost) home-theater-like audio even in your inexpensive computer. The result is louder and clearer whether you are engaged in watching a film or voice-calling a friend. The specially designed keyboard is also a major winner, with its ergonomic excellence and precise touchpad that supports multi-finger gestures. For an 11-inch laptop, this Lenovo Flex is quite powerful. It is driven by an Intel Pentium Silver N5000 processor with 4GB RAM and 64GB of eMMC storage. The quick-charging battery fires up rapidly, providing almost two hours of backup in only 15 minutes of charging. So, no longer must you worry about charging stations when on the run; a brief stop for a sandwich can give you the juice you need. The display is at par with some of the other cheap laptops on our list: an HD screen with an anti-glare panel and the provision of touch. The supported screen resolution is 1366 x 768. While this may seem glum, it isn’t bad at all for an 11-inch laptop; just consider the convenience you can obtain from a form factor so compact! This mineral-gray device is tremendously mobile. It weighs only 2.75 lbs—among the lightest on this list—and its choice of premium materials for construction makes it reliable during travel. Fitted with an array of USB ports (yes, including Type-C), an HDMI to plug into external displays, and a 4-in-1 card reader, it lets you connect to your world on the go. Best Feature: The WOW webcam with its impressive HDR (High Dynamic Range). The 11.6” Acer Chromebook 11 CB311-8H-C5DV ​laptop is fitted with a stunning webcam that provides exceptional video during video calls (say, on Google Hangout). It has a wide FOV (Field of View) of 88-degrees that brings alive all the details without requiring you to sit hunched in front of the camera. This is a particularly useful add-on if you are planning to use your laptop as a business device to stay in touch with clients and partners. This Chromebook is fueled by a Celeron N3350 processor that can perform up to 2.4GHz, 4GB RAM, and 32GB of storage space. Like all Chromebooks, it also benefits from the snappiness of its Chrome OS; you get inbuilt virus protection as well as automatic updates. The battery can last as long as ten hours, based on your usage, which offers a high degree of portability to the device. Here too, you get an HD display (ComfyView) with a wide view and an IPS panel for distortion-free viewing across vantage points. The screen resolution is 1366 x 768—almost the standard for budget 11-inch laptops. Since this computer is very light (it weighs 2.43 lbs and is only 0.71” thick), you can enjoy multimedia content on the run, the laptop slipping into your bag without complaint and proving to be a sturdy travel companion. How is the connectivity? Quite good! The laptop is compatible with 802.11ac Wi-Fi (dual-band—2.4GHz and 5GHz—and MIMO). It also provides two USB 3.0 ports, two USB 3.1 ports (Type C), and a micro-SD card reader. Bonus: This is a really good-looking laptop! It has a glorious indigo-blue color and a premium feel that will look good both in the workplace and at school. Best Feature: Immense storage space to the tune of 1TB of cloud storage. The HP Stream 14-inch laptop is a good choice for getting things done, with sufficient space to store all your projects and access them in no time at all. It provides a one-year subscription to Office 365 which makes your job even easier (and more productive). Driven by an Intel Celeron N3060 CPU (up to 2.48GHz), 4GB of RAM, and 64GB of eMMC storage, this computer is well-suited to the grind of school or work. You should face no problem in finishing standard tasks such as writing project reports or staying on top of your e-mail. Even when you are working outdoors, say in public transport, you can enjoy substantial unplugged usage: up to nine hours. The battery backup is somewhat reduced if you use the laptop for wireless streaming, but it remains decent at 7.75 hours. Note that the RAM is not upgradable, so you are unlikely to be able to use this machine for CPU-intensive tasks at great speeds. The display on this laptop is pleasing. An FHD screen brings to you bright and detailed imagery with a screen resolution of 1920 x 1080. 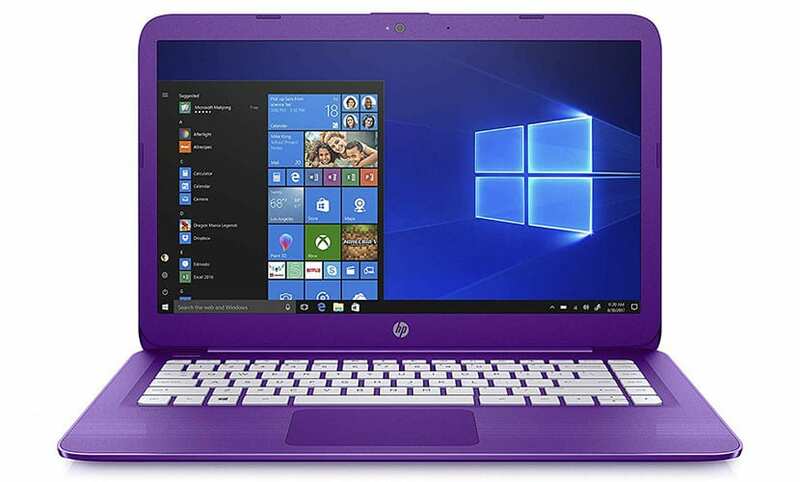 We also love the infinity-purple color of this laptop. If you have a soft spot for distinct coloring and like to own gadgets that stand out, then this is right up your street. 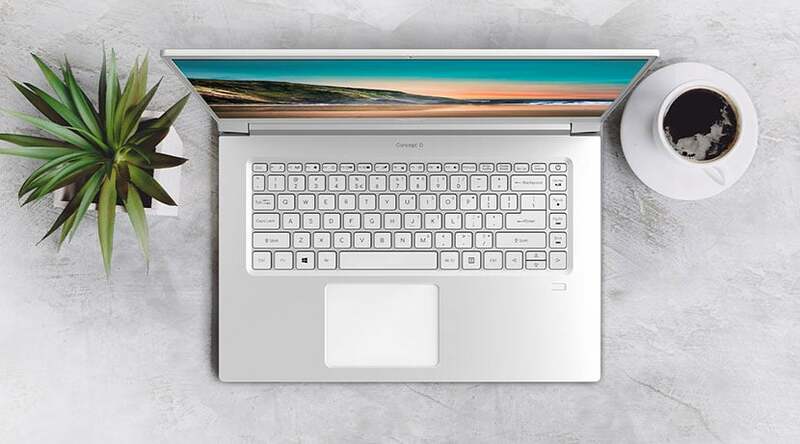 HP devices have always been committed to keeping you connected, and this laptop continues the tradition. You can avail of a digital media card reader, a webcam, and a USB 2.0 port. At 3lbs and 0.7”, it is a compact and easy-to-carry machine that you can take anywhere. However, it lacks a USB Type-C port for high-speed data transfer; this is a notable miss when compared to its contemporaries. Best Feature: Distinctive focus on education. 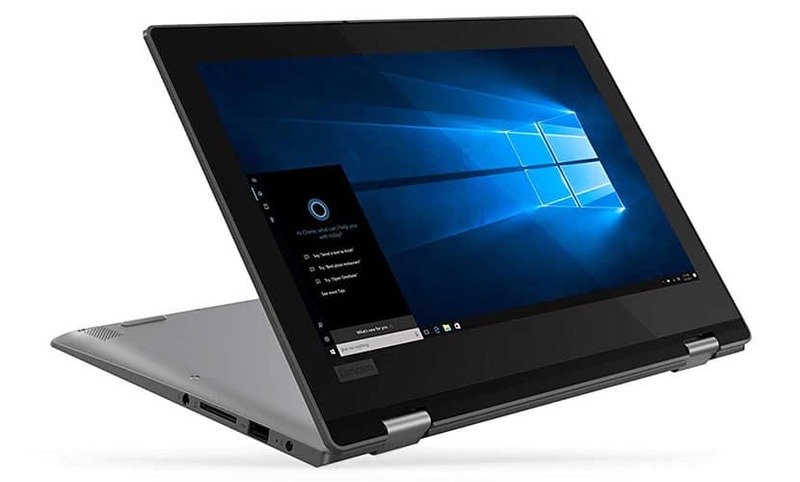 The 11.6” Lenovo 100e (2nd Gen) laptop is committed to steering the life of the contemporary student (or teacher) by facilitating access to educational apps from the Microsoft Store, such as OneNote Class Notebook, Minecraft Education Edition, Kahoot and GeoGebra. Having these apps at your disposal makes learning much more fun, productive and speedy. Another intuitive feature of this laptop is its student-friendly construction. While the school campus seems innocuous enough, everyone knows that falls, bumps and scrapes happen more commonly than anyone cares to admit. With this in mind, Lenovo has built this laptop with rubber bumpers, keys that are mechanically-anchored, and ports/hinges with extra reinforcement. In fact, Lenovo claims that this device can handle drops up to 29.5″—the average height of a school desk. Now that is truly inventive! The laptop also boasts of a lightweight chassis that weighs 2.68lbs and measures 0.78” in thickness. This Lenovo laptop is fueled by an Intel Celeron N4000 CPU that can run up to 2.60GHz. It is supported by 4GB RAM and 64GB of eMMC storage. You will find it straightforward to work with multiple tabs and windows—almost a prerequisite while working on class assignments and researching for your big submissions. The battery can last for ten hours which should be plenty to last throughout the standard school day (and then some more). Display-wise, this device does not do great guns, but you do get an HD screen with a resolution of 1366 x 768. An anti-glare panel thoughtfully protects your eyes from the strain of school work. The graphics support is for Integrated Intel UHD Graphics 600. Note that this machine comes inbuilt with a 720p HD webcam, USB ports (including a Type-C), and support for Bluetooth 5.0 and 802.11ac Wi-Fi. Best Feature: Easy upgradability depending on processing needs. The 11” Dell Inspiron Chromebook 11 3181 2-in-1 laptop comes with an Intel Celeron N3060 processor, 4GB RAM and 16GB eMMC storage. But you can upgrade the hard drive up to 256GB based on your requirements. This gives you massive storage for an 11” laptop with a price tag under $300. Not to forget, the Chrome OS is as responsive as ever, letting you get through your work quickly by employing productivity apps and keeping your data secure. Additionally, the OS also offers virus protection and automatic updates which makes it easier to work in a collaborative learning environment. 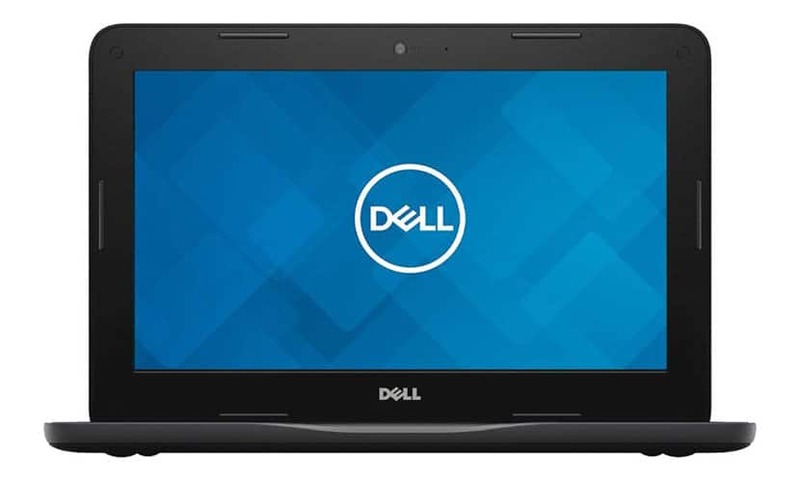 This Dell Inspiron is tailored to meet the needs of the contemporary student. It has adequate CPU muscle (up to 2.48GHz) for school tasks and can also run some memory-hungry applications without losing steam. The access to Google Drive makes it easy to store important data and retrieve it at a moment’s notice. Let’s talk about the display. On this laptop, you will find an HD monitor with a screen resolution of 1366 x 768. An energy-efficient LED backlight lights up the screen and makes the proceedings vivid. The graphics support is for Intel HD Graphics 400. Evidently, the display is rather entry-level, but it is not a bad deal for a budget laptop intended primarily for school activities. Dell has made this Inspiron astonishingly compact and mobile. It has a glossy, polycarbonate exterior and weighs only 3.09lbs; the profile measures 0.8”. This is very convenient for everyday use, especially as present-day students have to undergo a fair amount of traveling in and outside the campus. You can enjoy four usage modes with the 360-degree hinge. Connectivity is no hassle with support for 802.11ac Wi-Fi and Bluetooth as well as USB 3.0 ports and an HDMI. There is also an HD webcam (with two microphones) for video calling. Best Feature: Dell Cinema! Even though the new Inspiron 15 3000 3580 laptop​ is a cheap computer, coming to you at a sub-$300 price, the audio-visual prowess can rival that of many dearer laptops. Dell Cinema, with its combination of CinemaColor, CinemaStream and CinemaSound, leads to a compelling multimedia experience that belies the fact that this is an inexpensive machine. CinemaSound uses the power of Waves MaxxAudio Pro for optimum volume and clarity. Overall, it is a competent device for everyday endeavors; a look at the processing muscle reveals an Intel Celeron N4000 processor, 8GB of RAM, and up to 1TB of storage (with optional Intel Optane memory). This laptop scores high on ease of use and device support. It has an inbuilt optical disk drive to enable you to play DVDs. There are several ports including USB 3.1 ports and an HDMI to connect to external displays (to expand the potential of the existing HD, anti-glare monitor). Using Dell Mobile Connect, you can integrate your laptop with your smartphone and work seamlessly. The resulting synchronicity is highly beneficial in both a school- and an office environment. The keyboard deserves a special nod. It is precise and thoughtfully designed, with a numeric keypad to make number crunching, data entry, etc., more convenient. This isn’t a common feature in budget laptops and is hence quite a prized add-on, especially if your work involves considerable dabbling with numbers. Note that this is a slightly heavier laptop than some others we have recommended—it weighs 4.83lbs and measures 0.89”. However, it is thoroughly tested to perform even in adverse conditions such as extreme temperatures or intensive use (read 40,000 key presses and 5 million clicks). How did you find our list of the best laptops under$300 2019—did you come across a computer that spoke to you? Not so many years back, it would have been almost unthinkable to expect good performance and versatility of use from a laptop this affordable; indeed, budget laptops were few and far between and looked down upon for being cheap rather than compact or competent. But times have changed and how, and cost-effectiveness is a mantra that many top brands have embraced. A close survey of the marketplace reveals several cheap laptops that may not cost you the big bucks but definitely cater to regular computing needs, while also packing in useful features like a convertible design, high-quality audio, pleasing graphics, and excellent all-round connectivity. 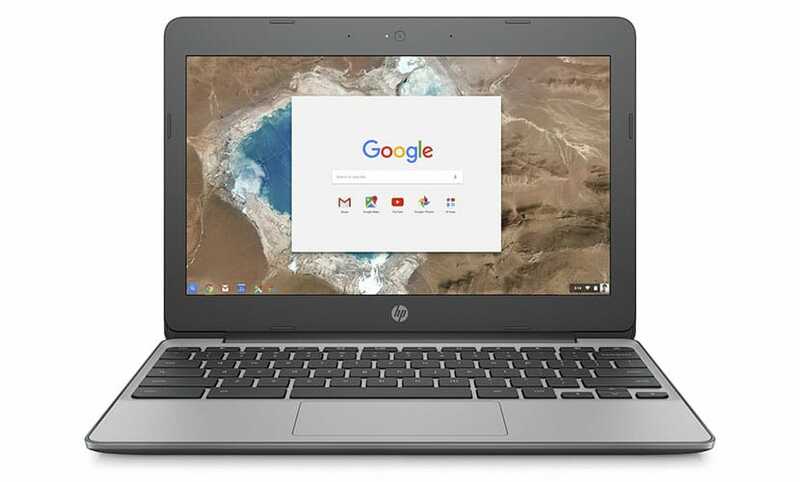 For instance, if you are eying responsiveness hand-in-hand with mobility, you can consider purchasing a Chromebook. If you wish to cater to a wide gamut of needs and also enjoy offerings like superior audio and fast charging, a Lenovo budget laptop will be a good pick. We leave you with one final bit of advice pertaining to cheap laptops: remember what you are signing up for. Don’t go about expecting the moon, but if you choose well, you are likely to land among the stars.